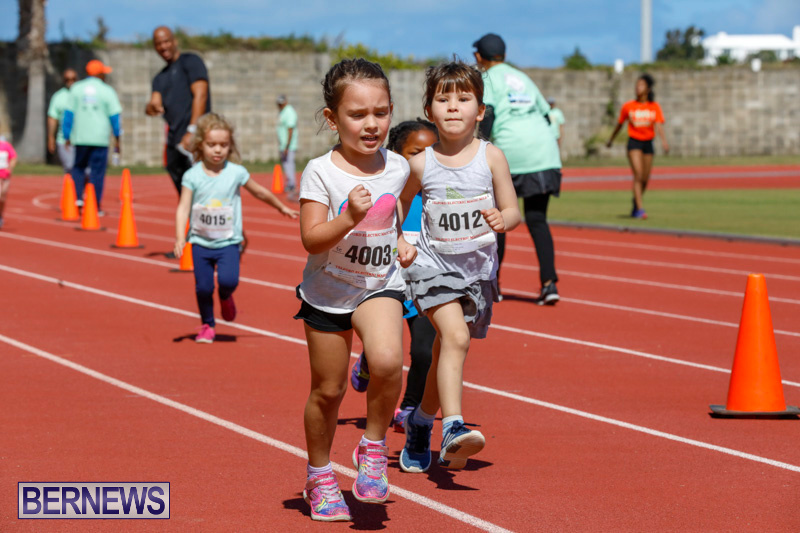 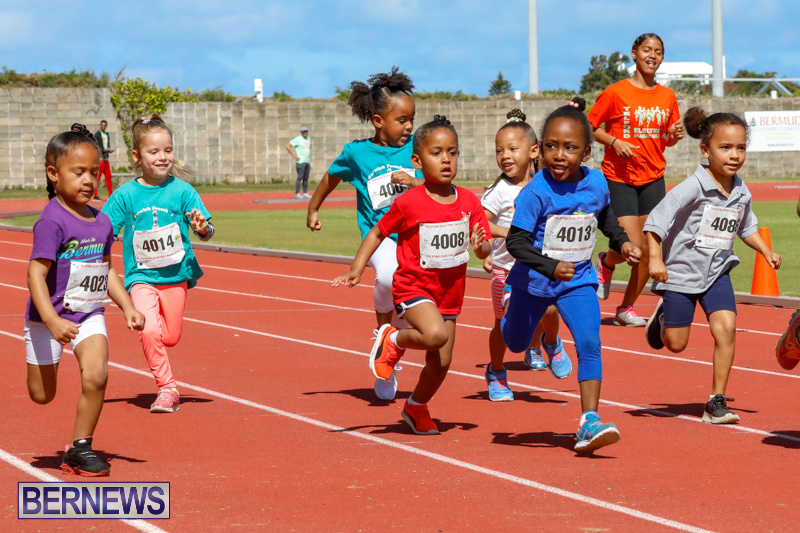 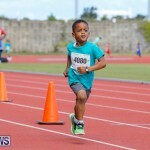 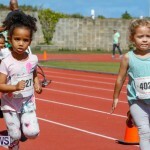 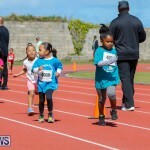 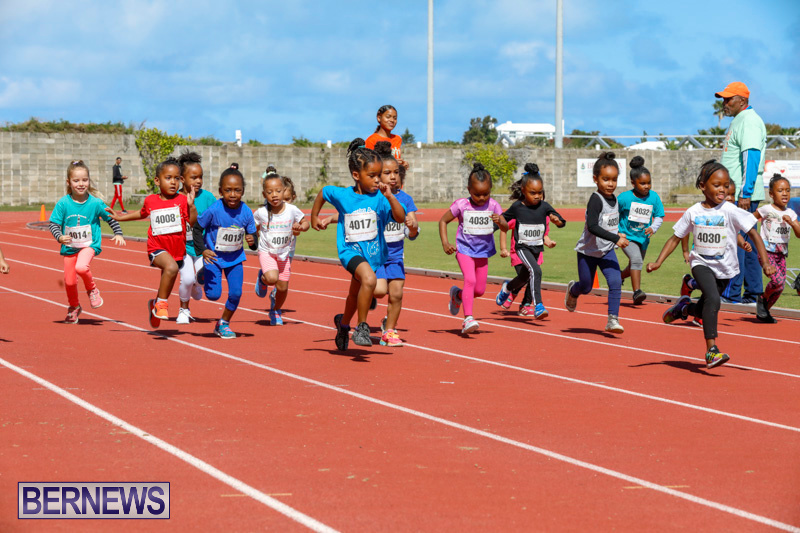 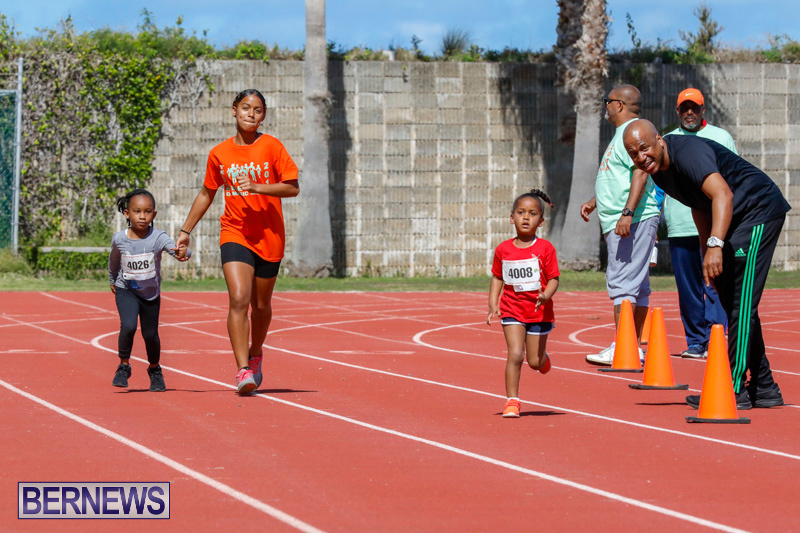 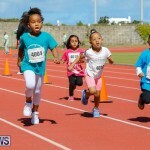 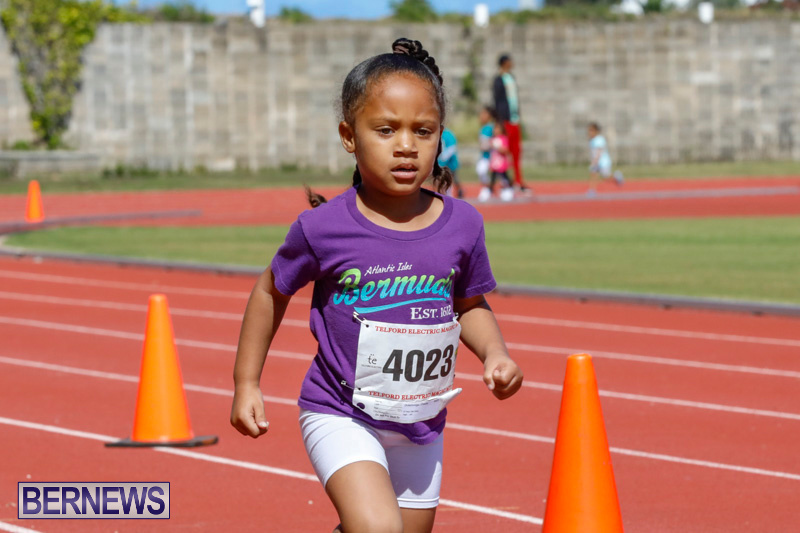 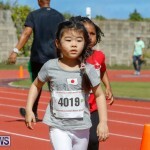 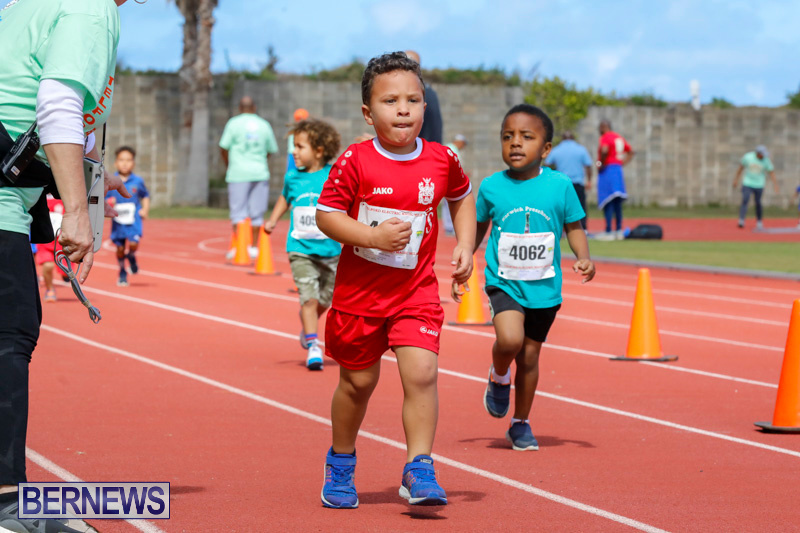 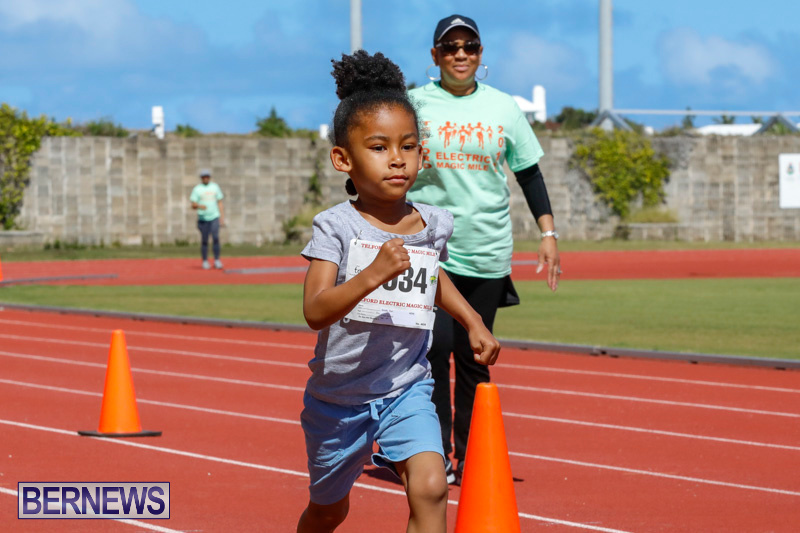 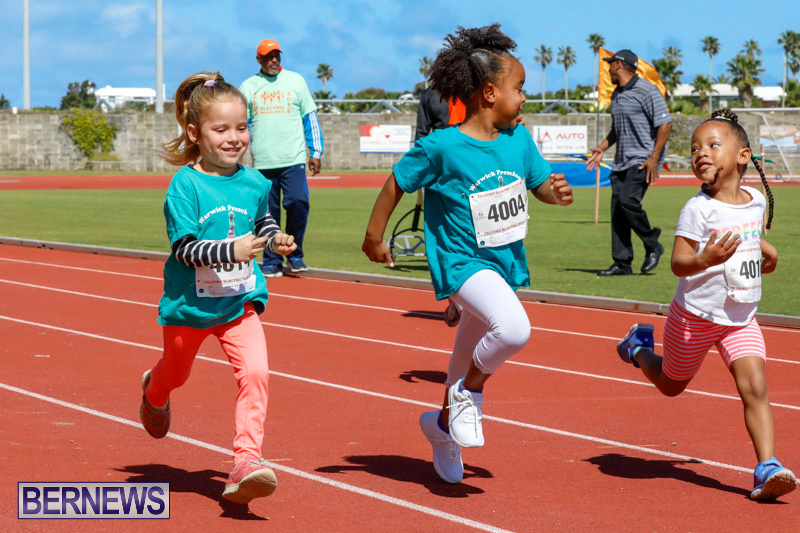 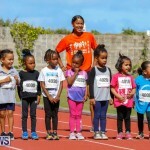 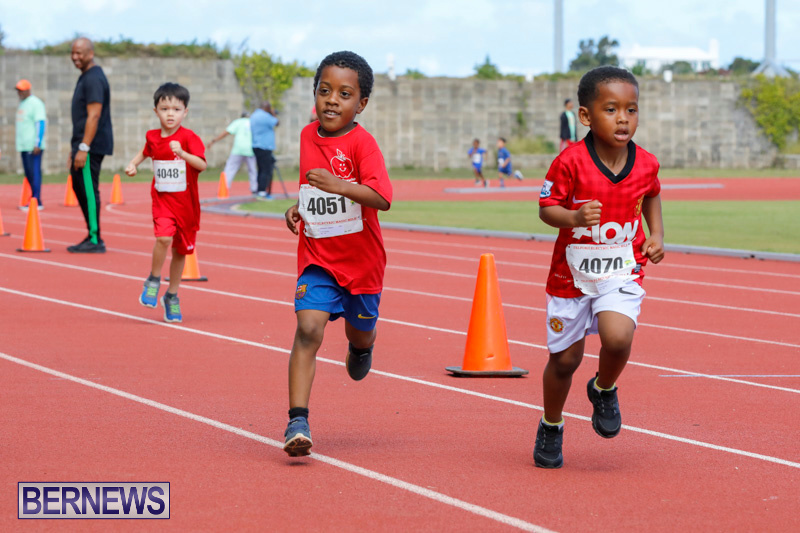 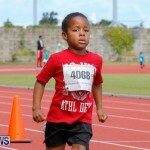 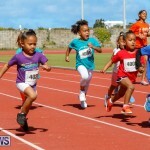 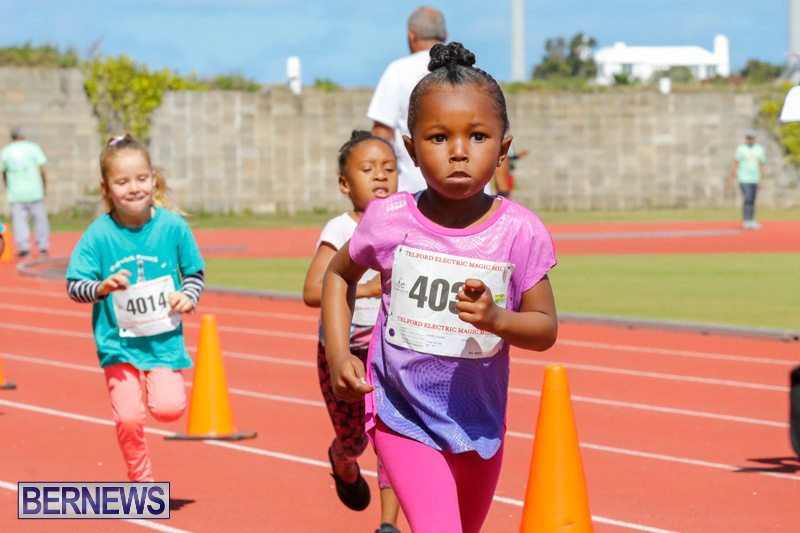 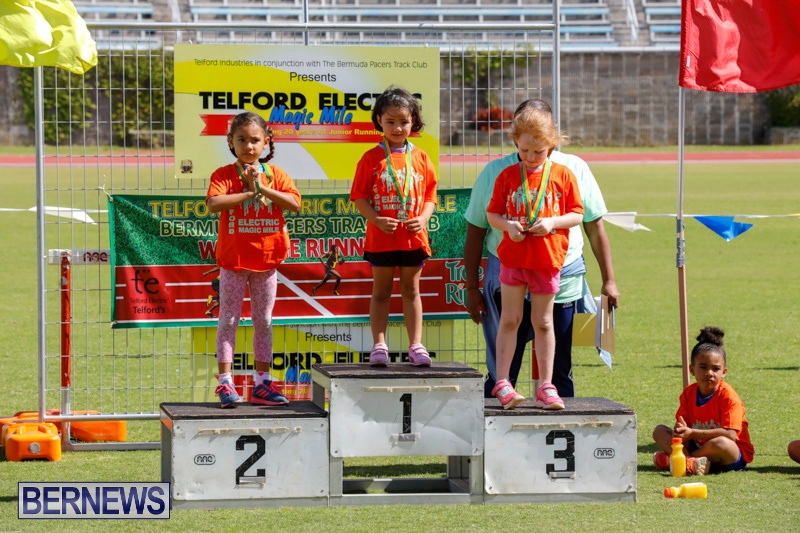 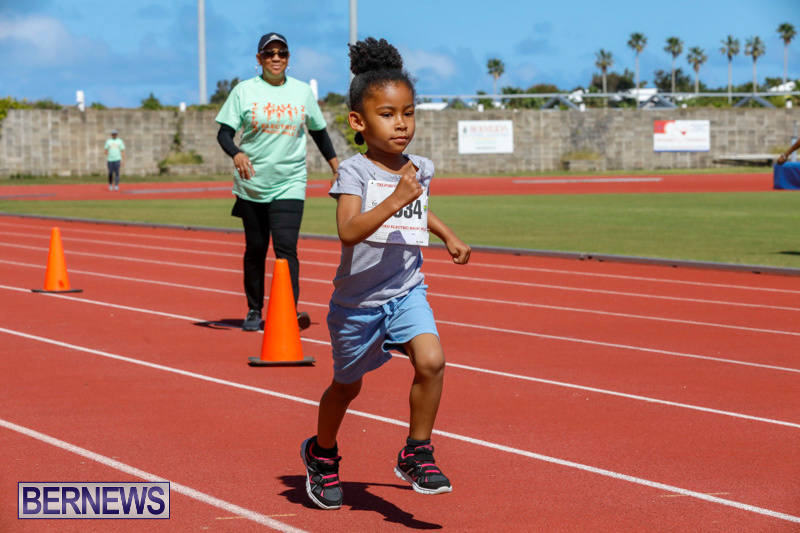 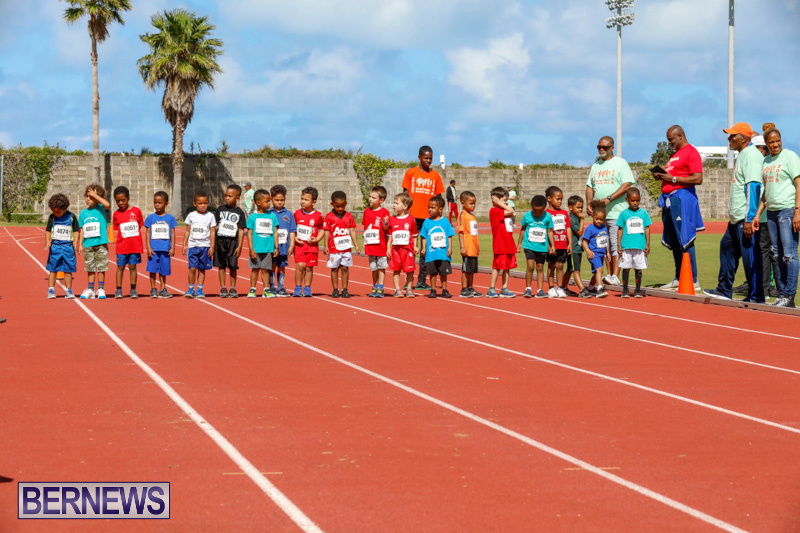 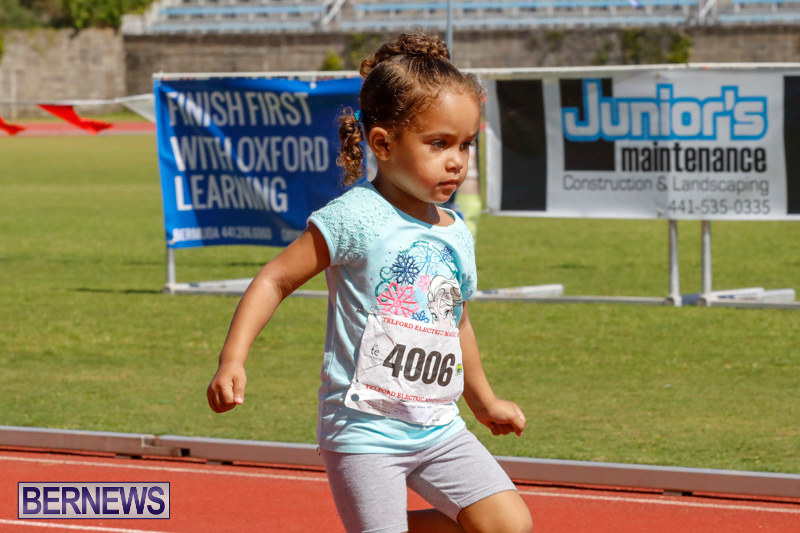 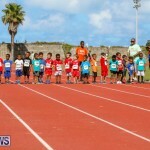 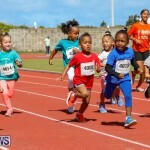 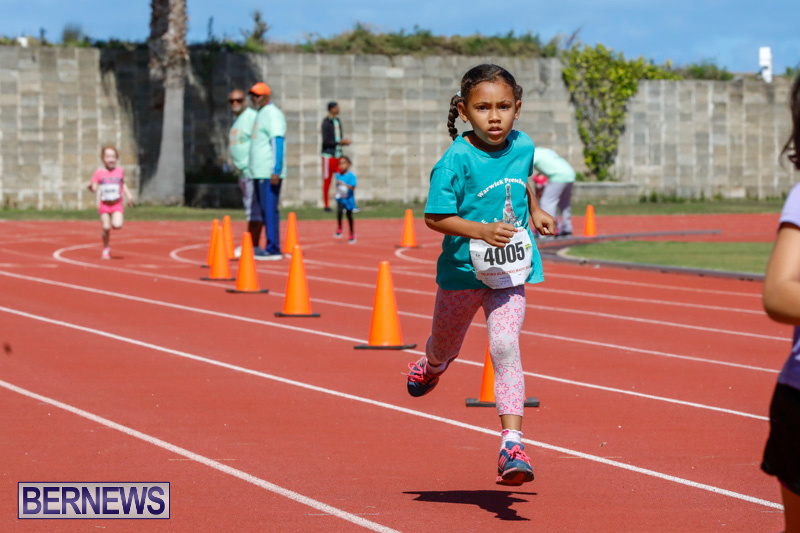 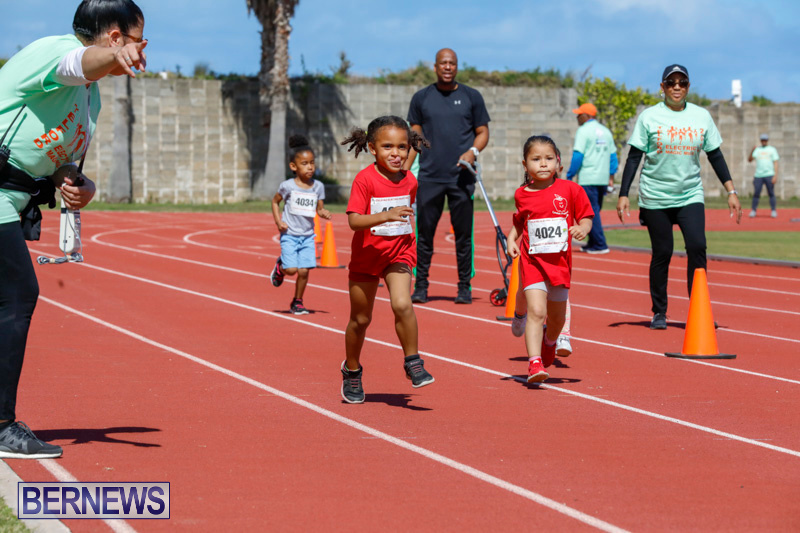 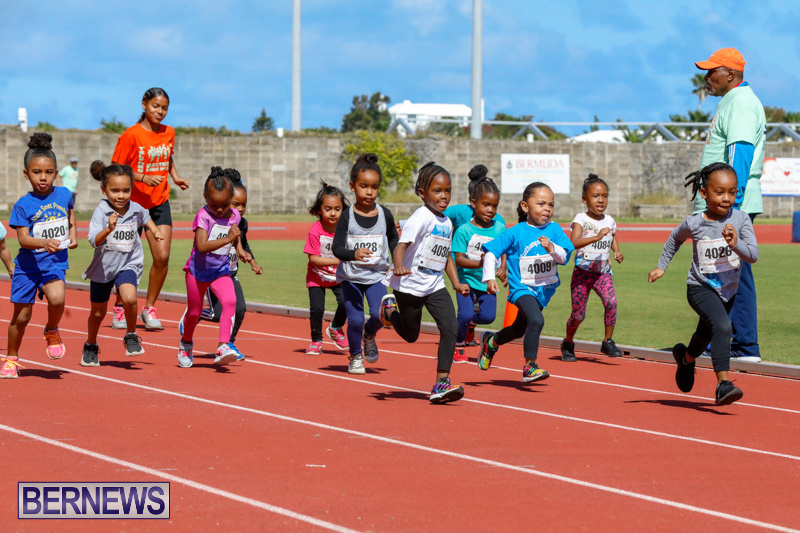 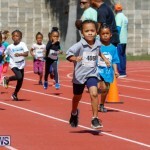 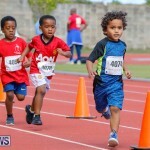 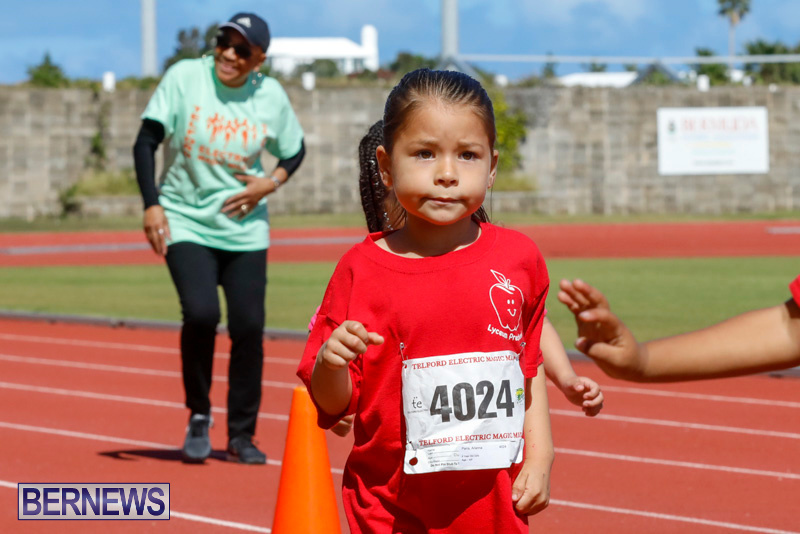 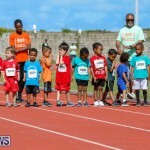 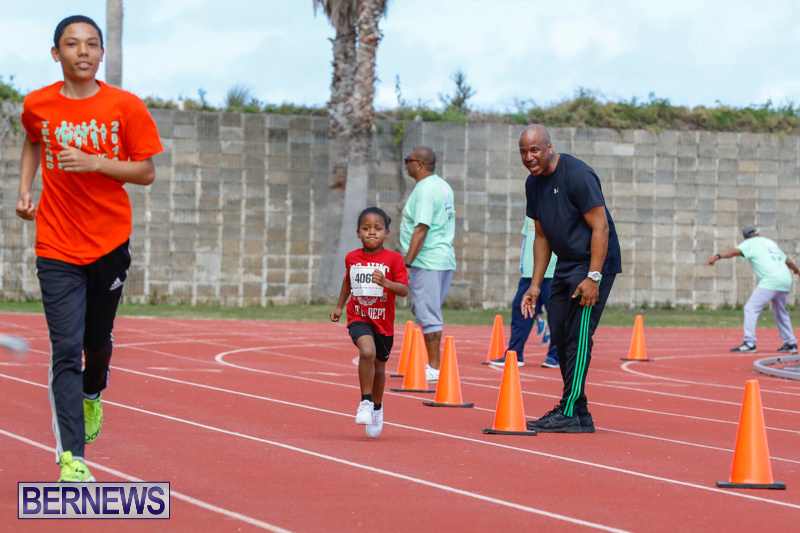 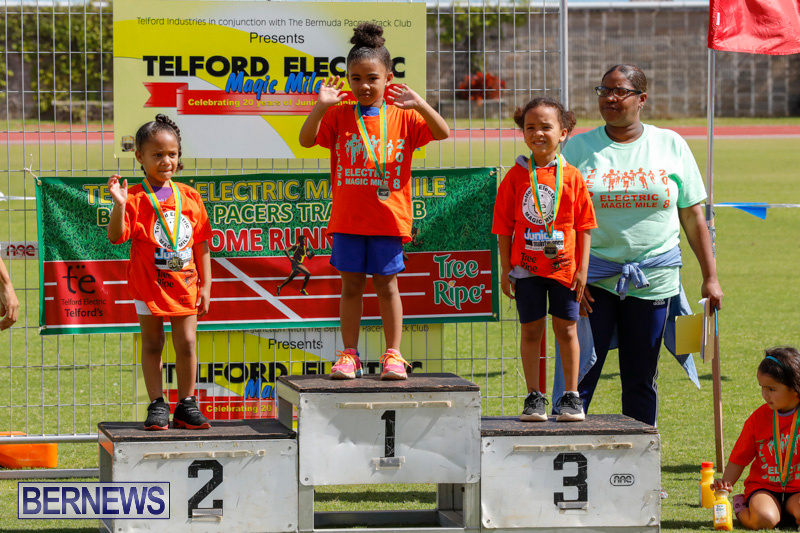 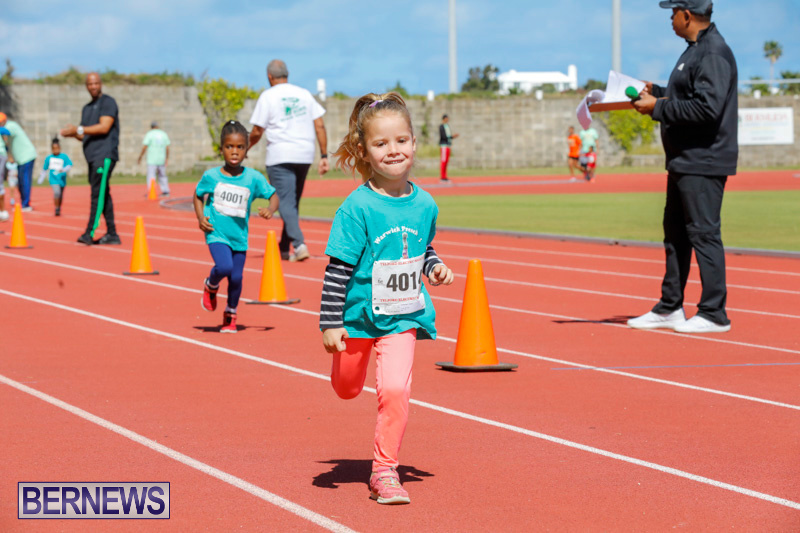 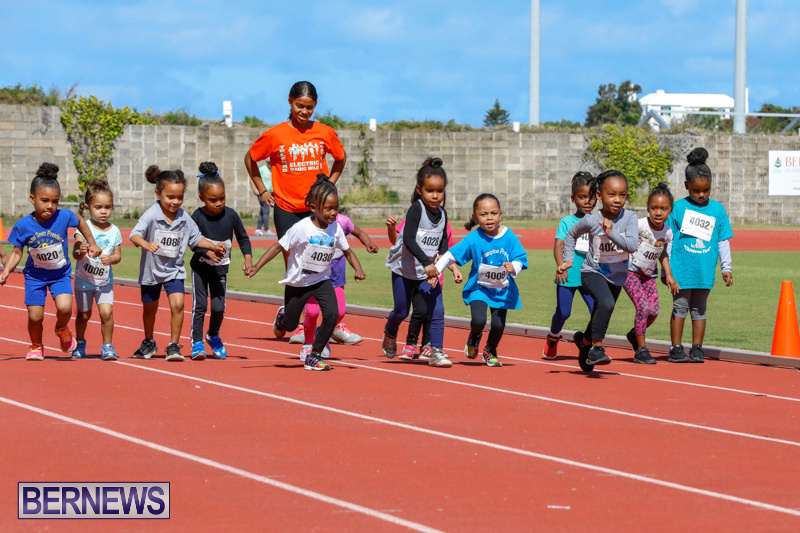 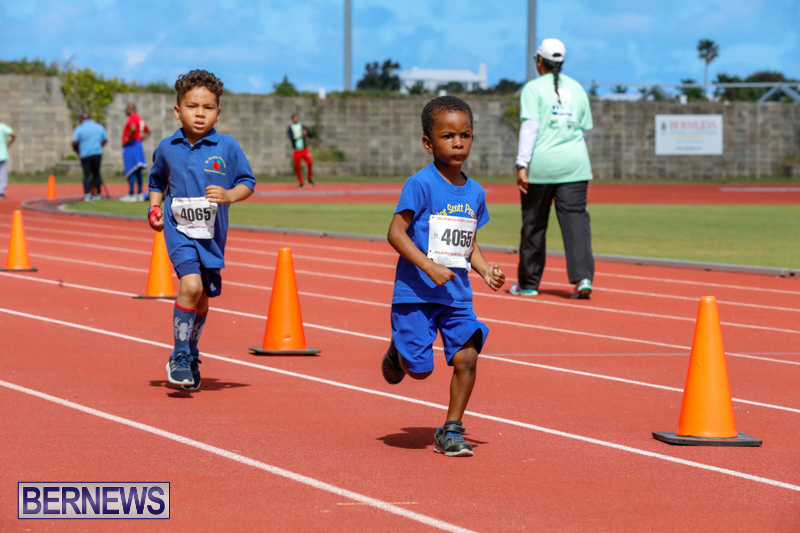 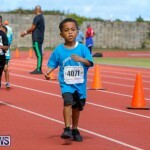 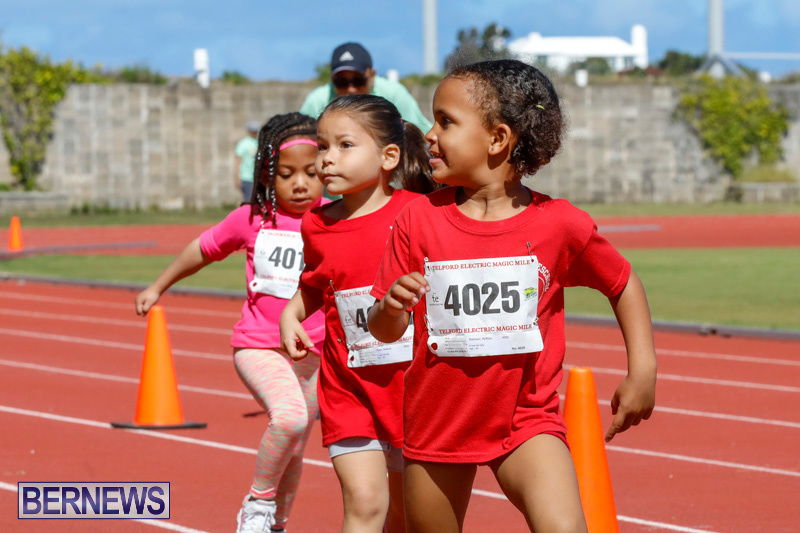 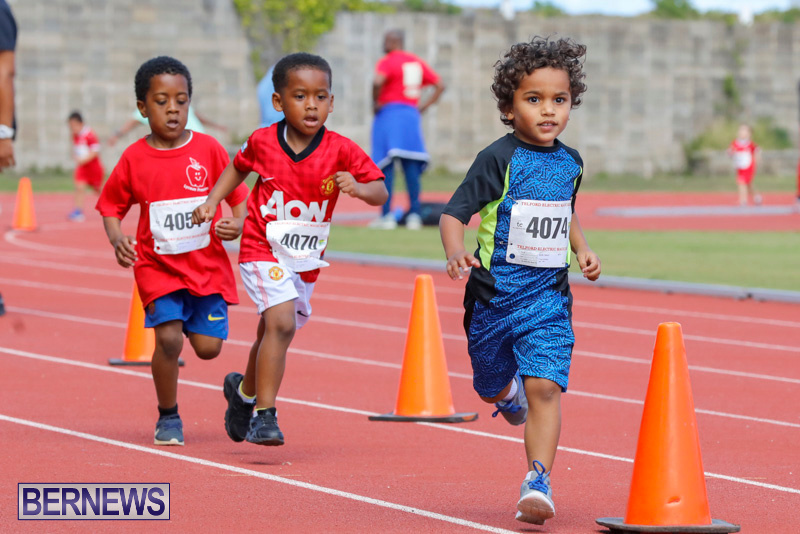 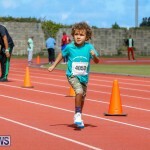 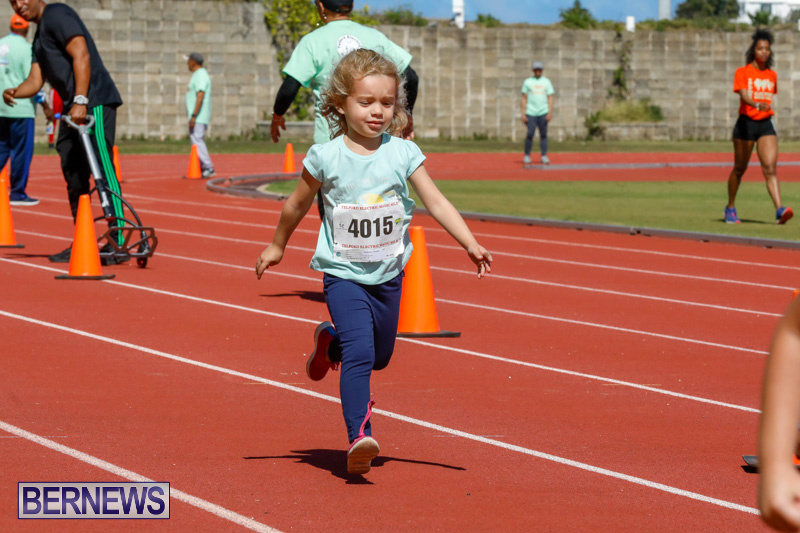 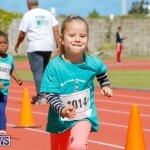 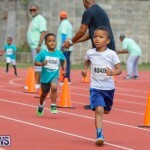 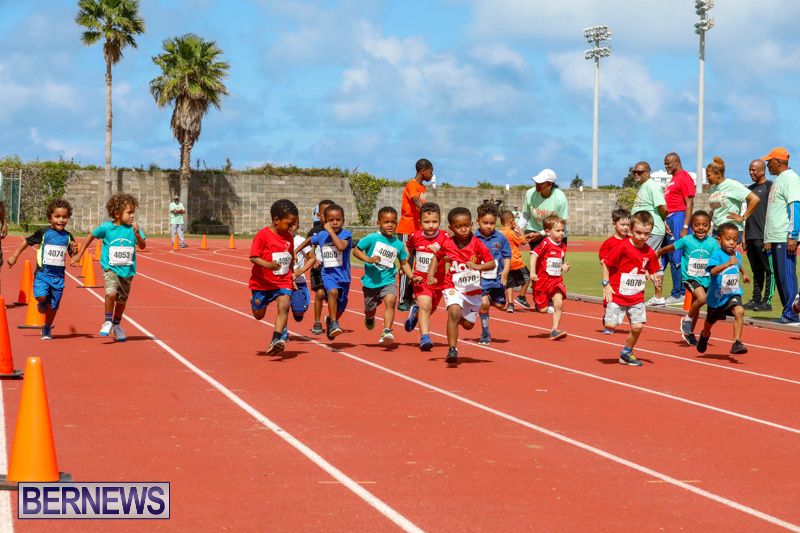 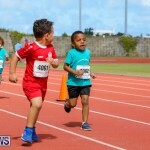 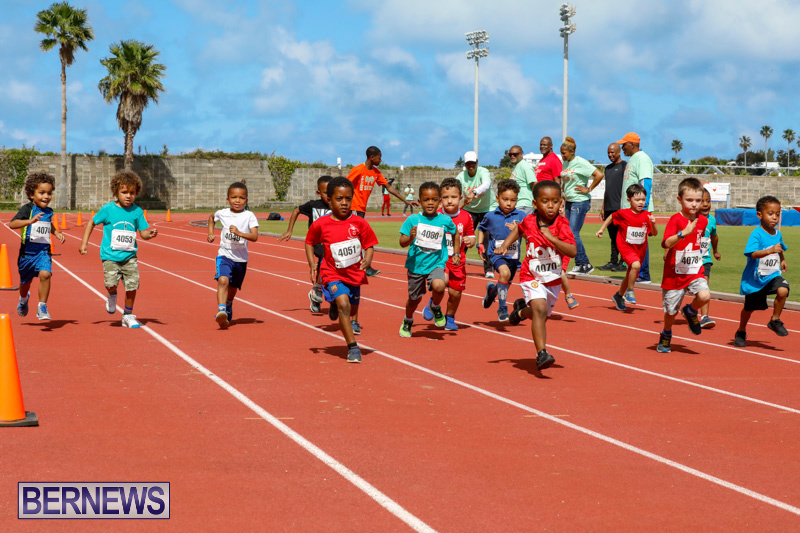 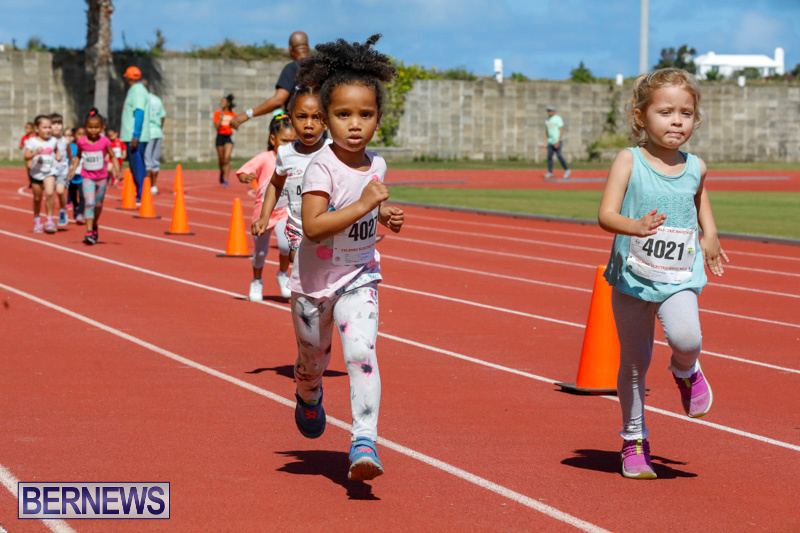 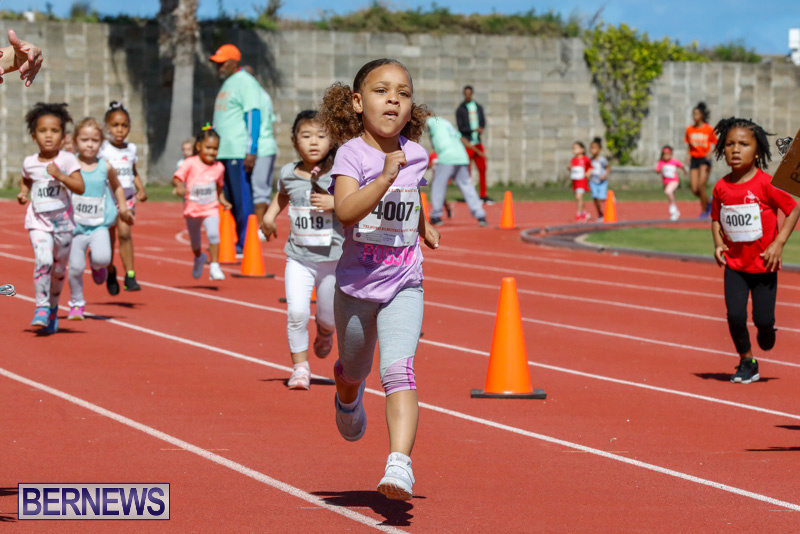 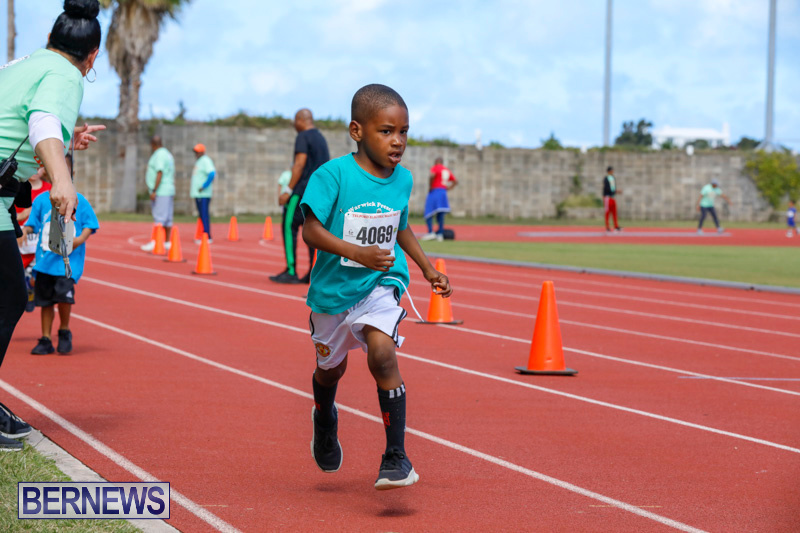 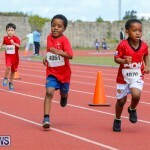 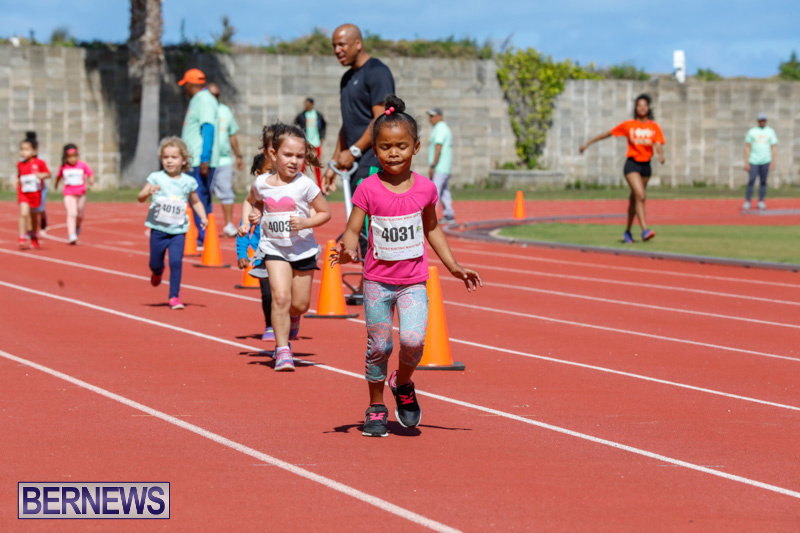 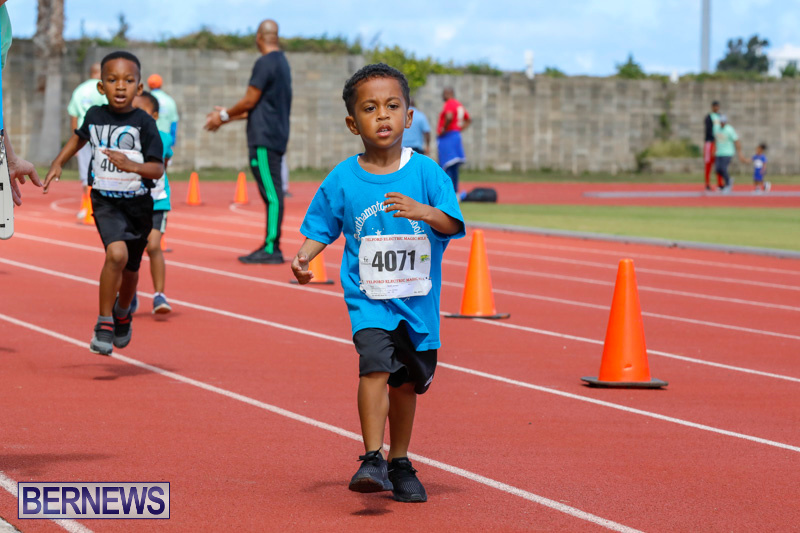 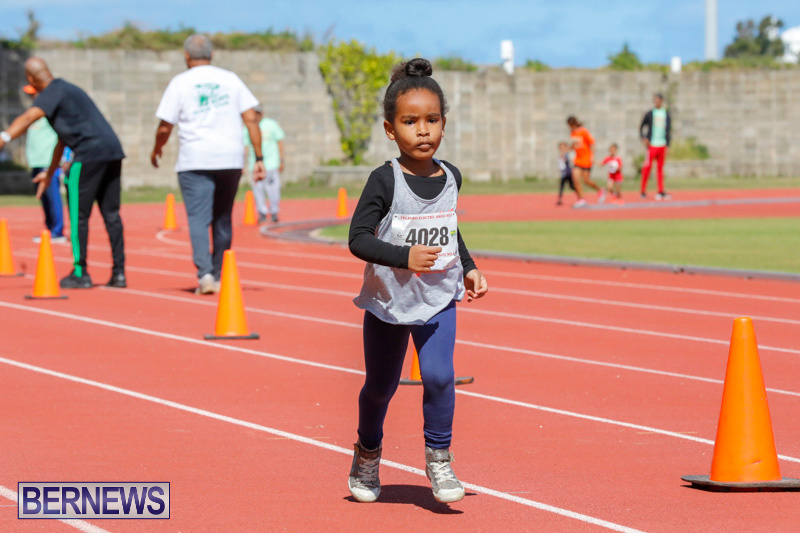 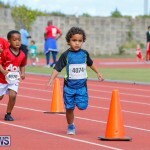 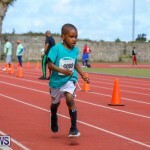 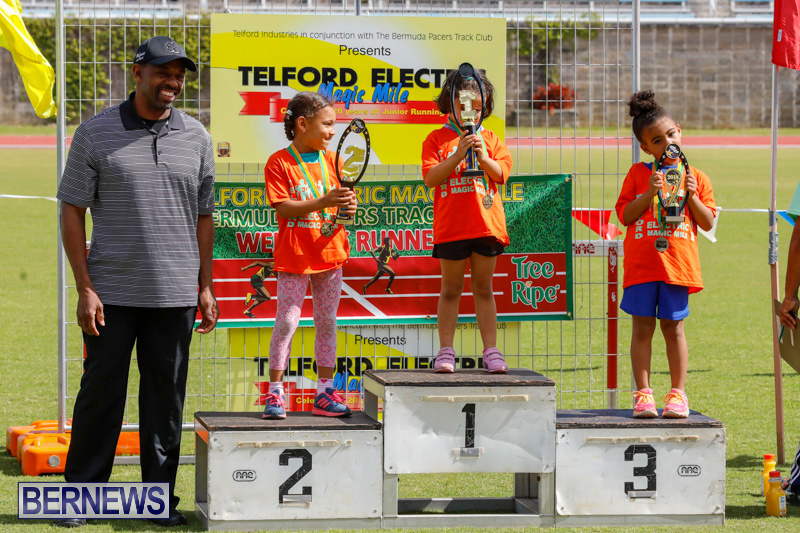 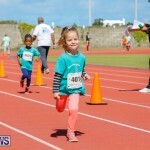 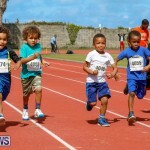 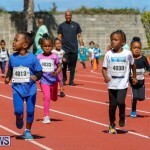 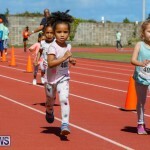 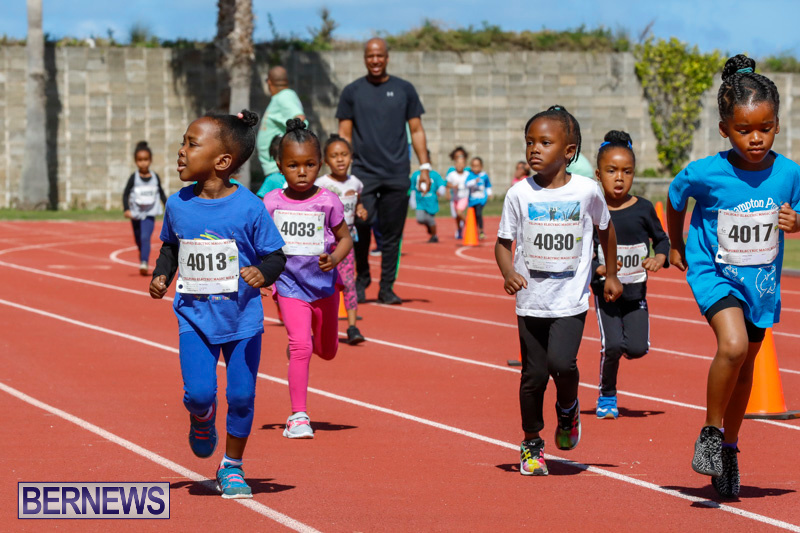 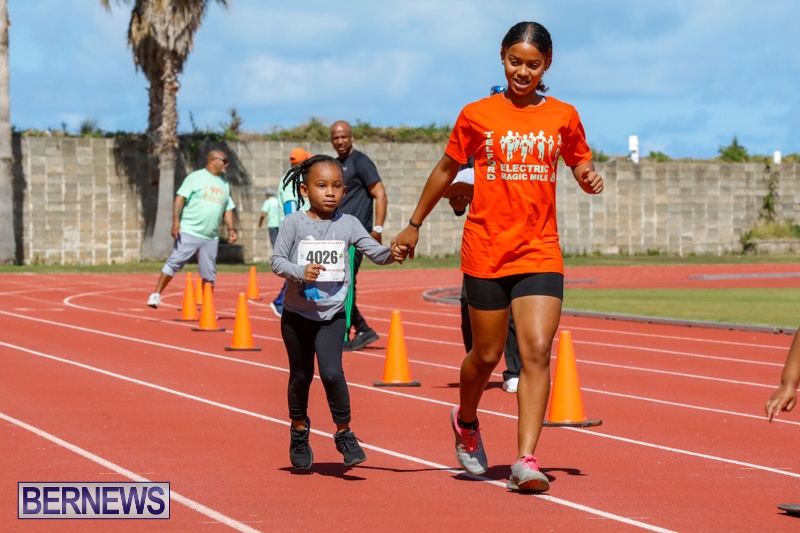 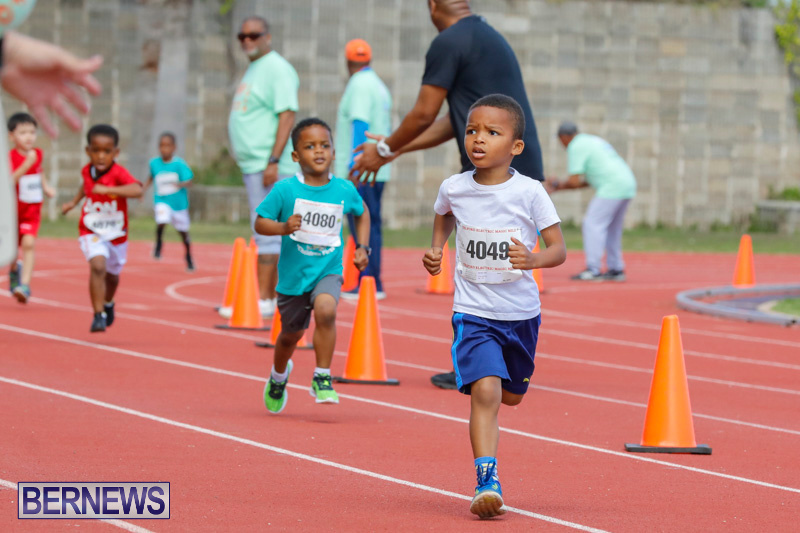 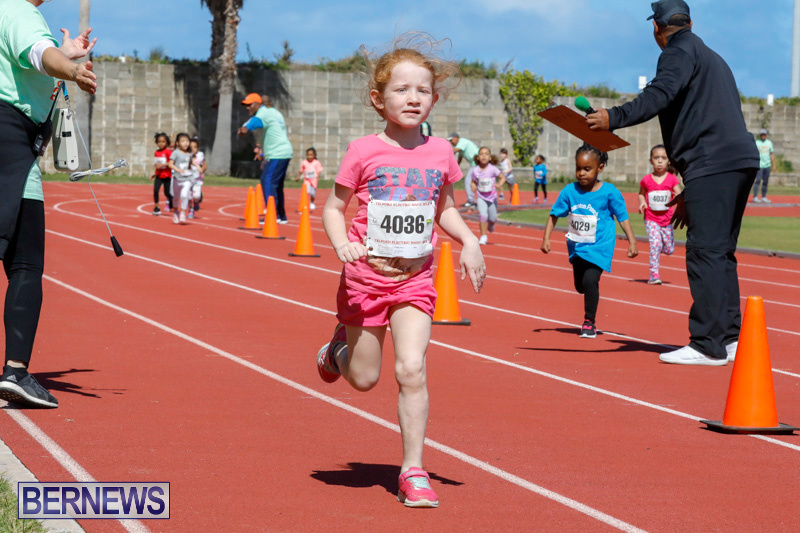 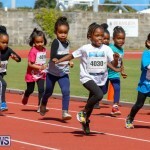 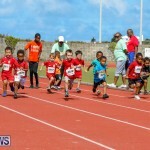 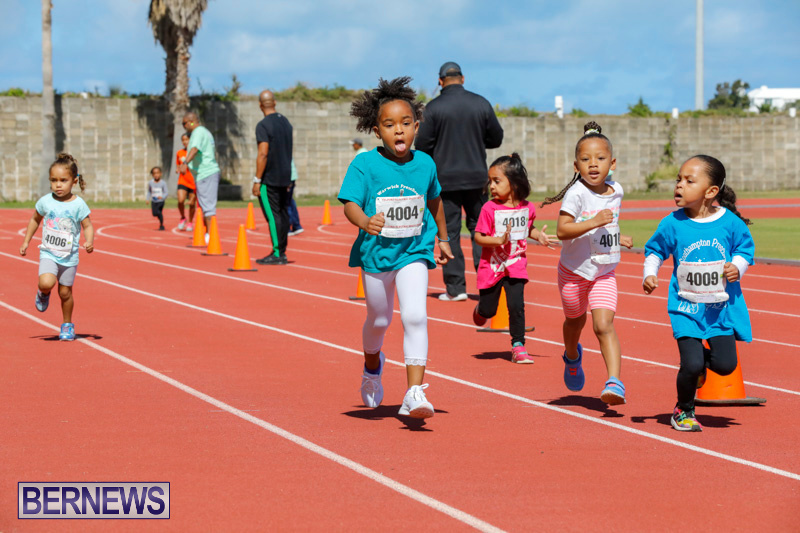 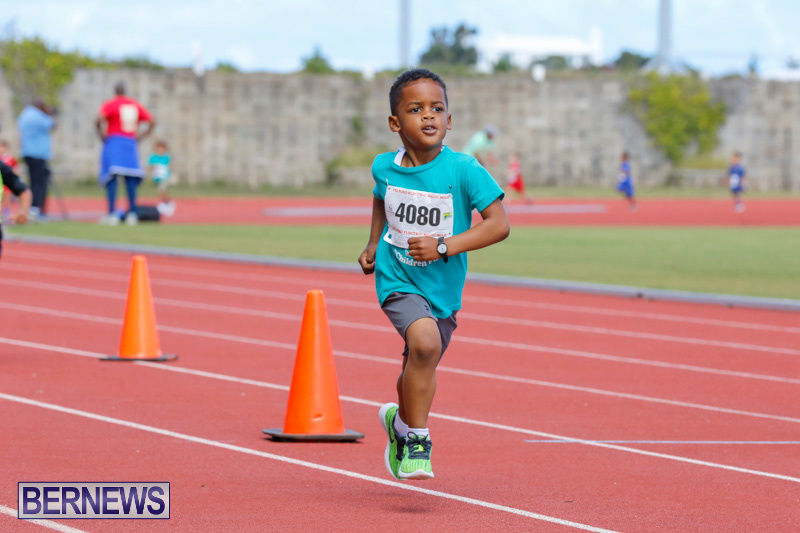 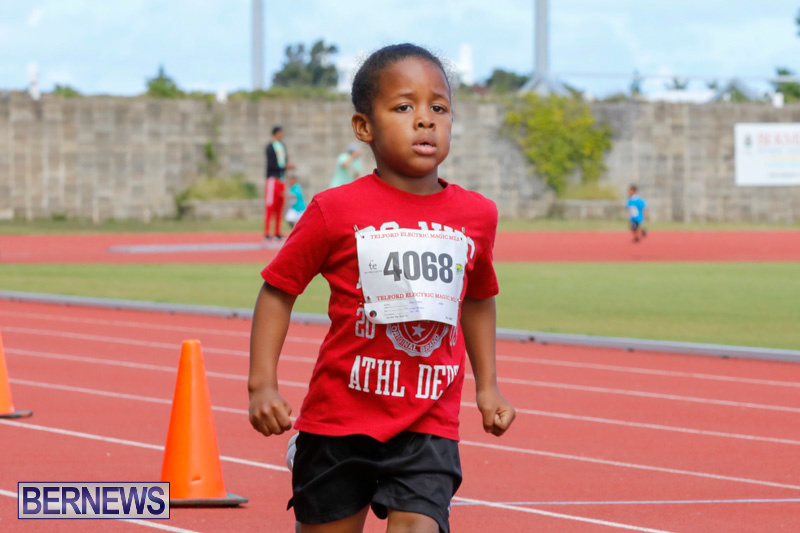 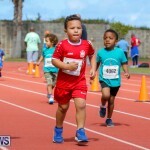 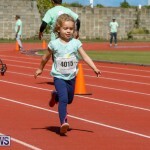 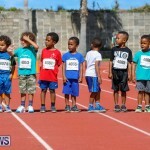 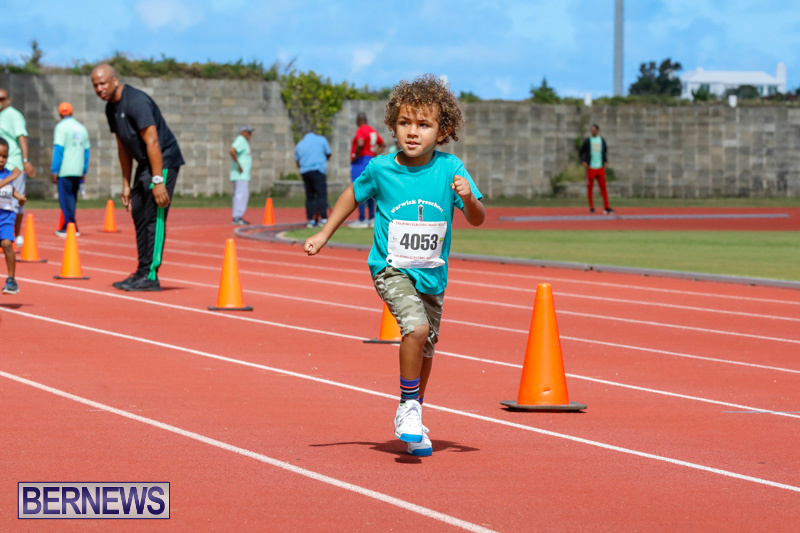 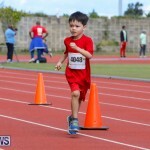 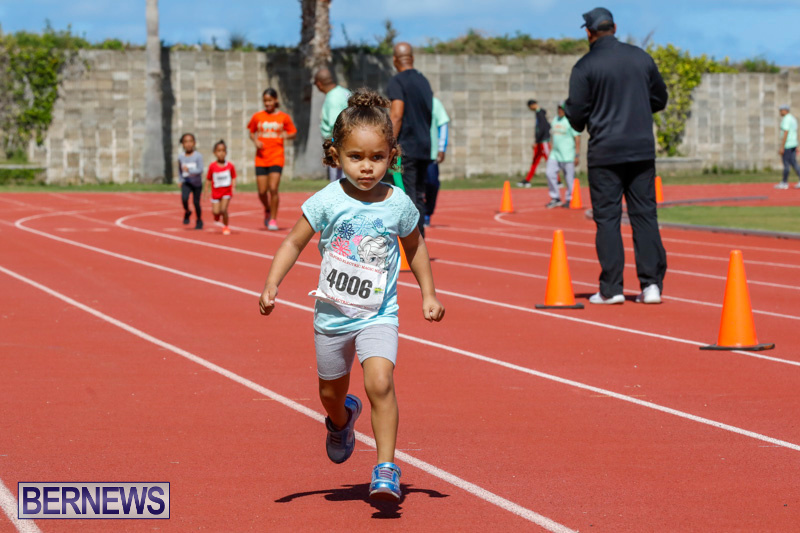 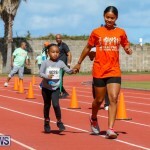 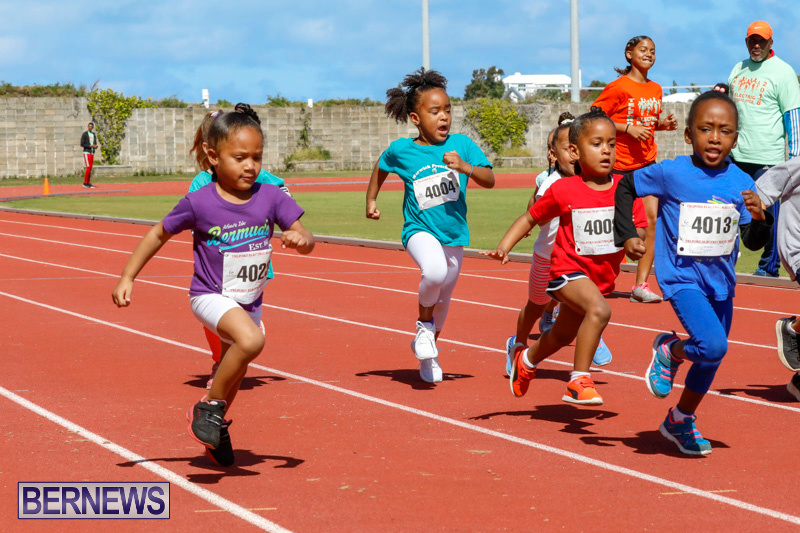 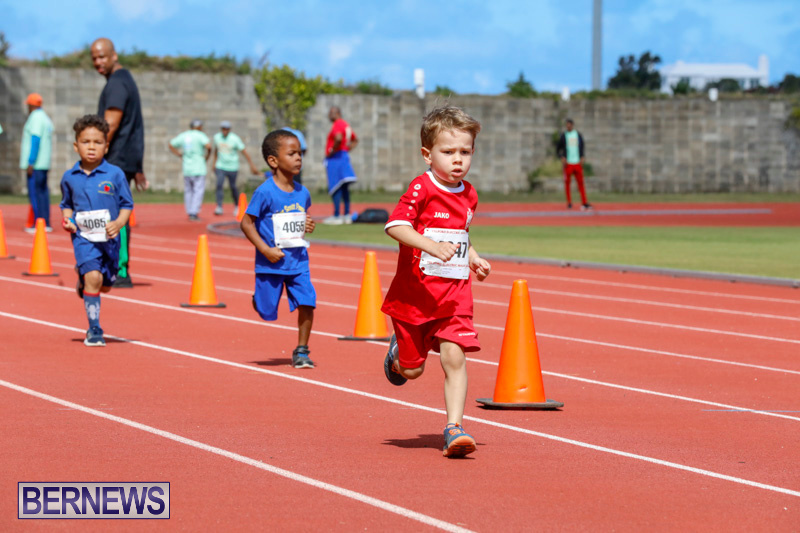 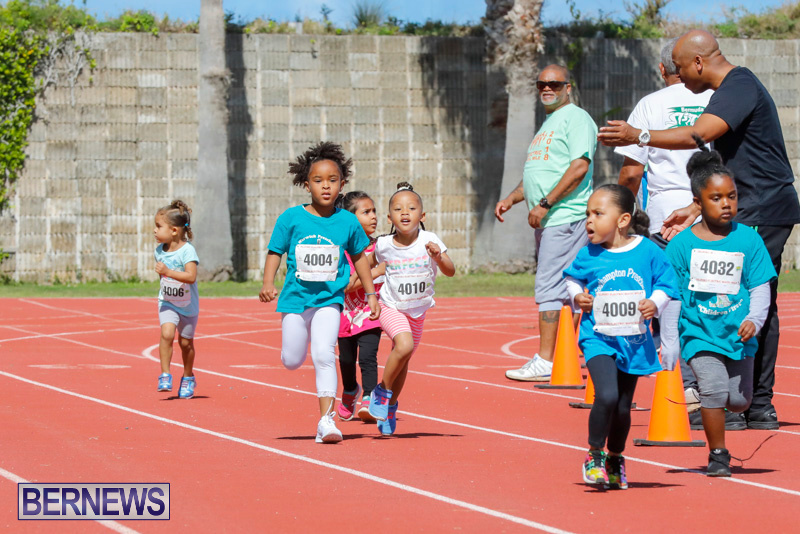 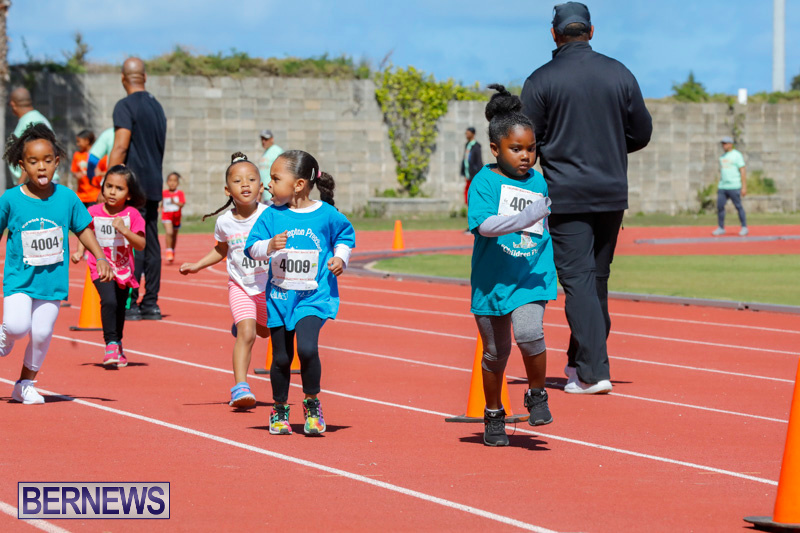 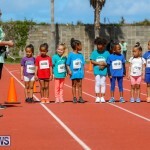 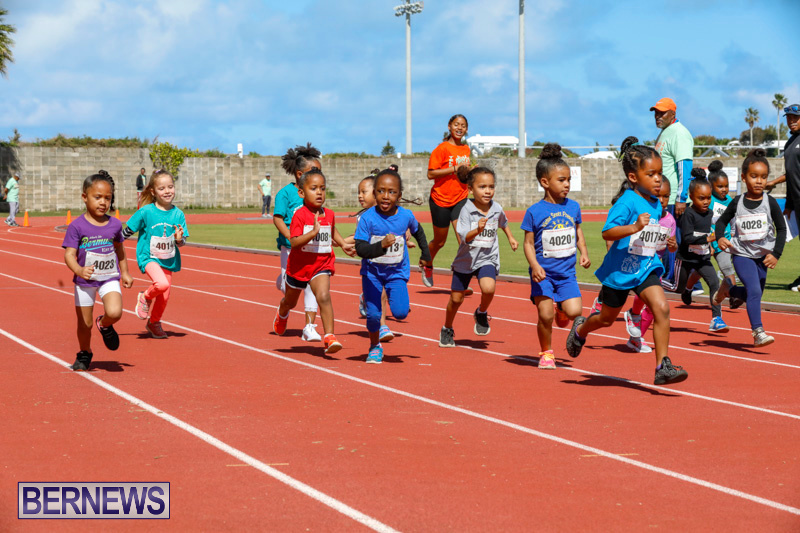 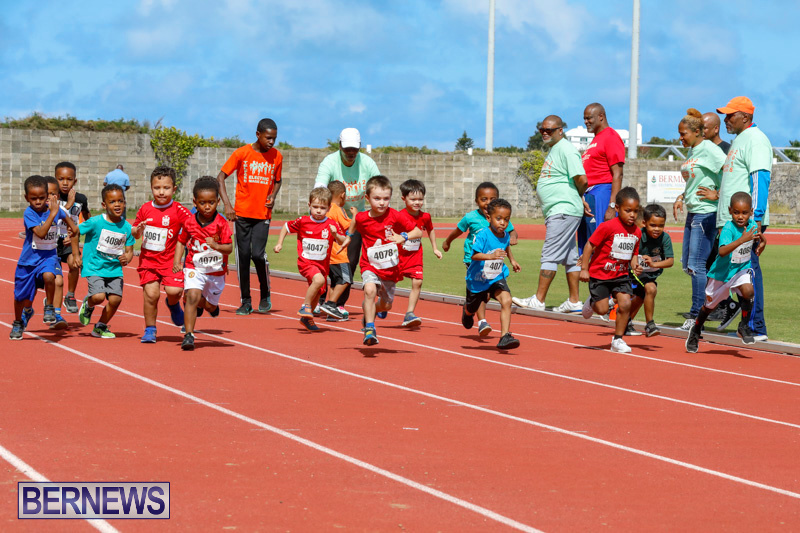 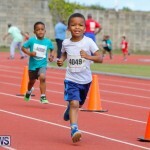 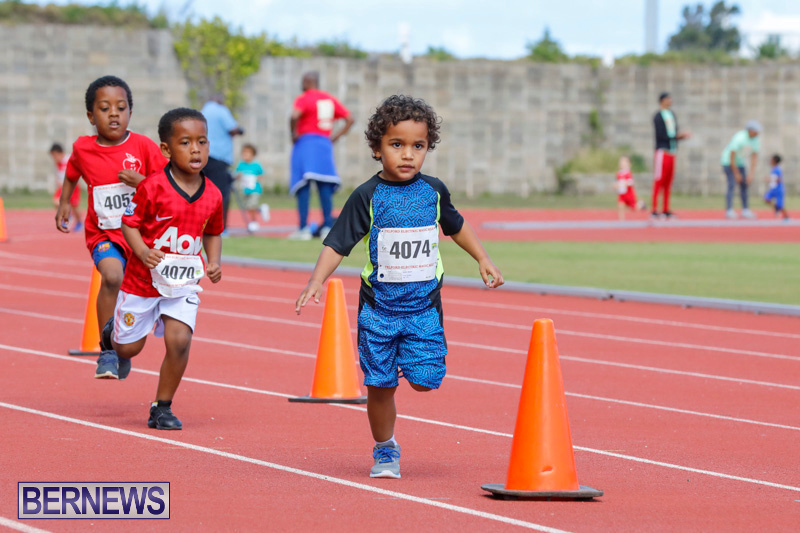 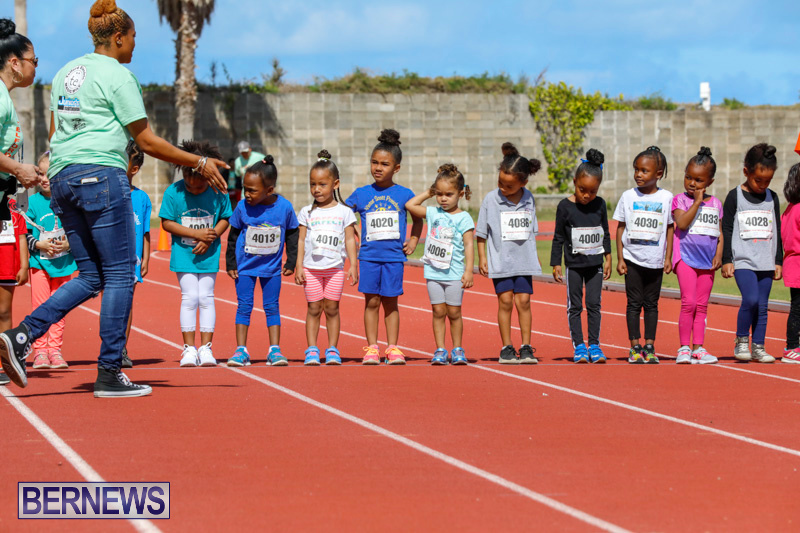 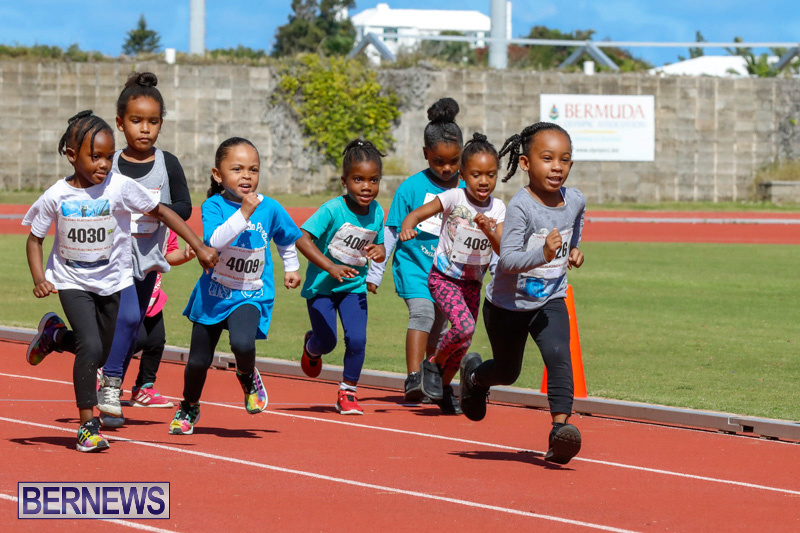 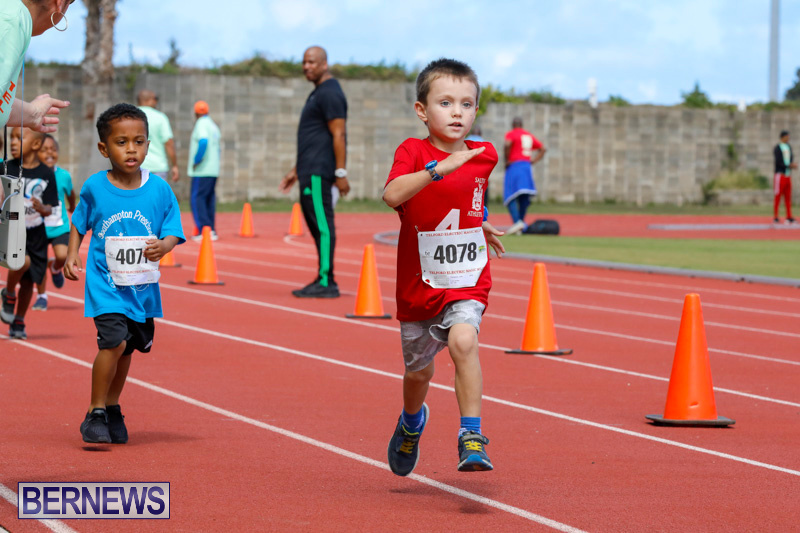 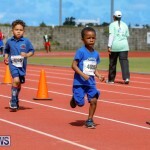 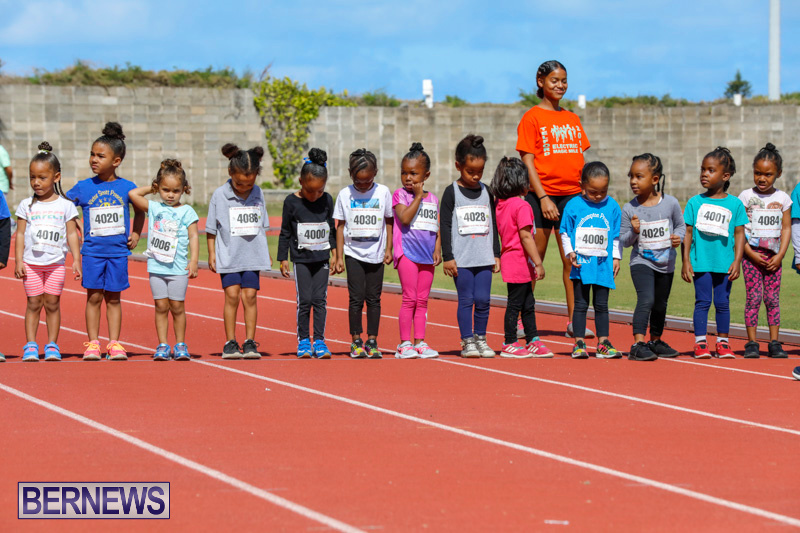 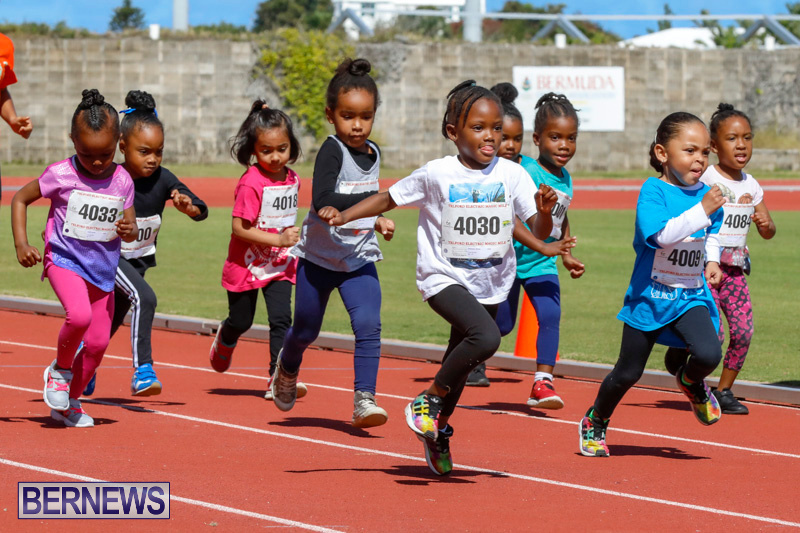 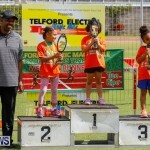 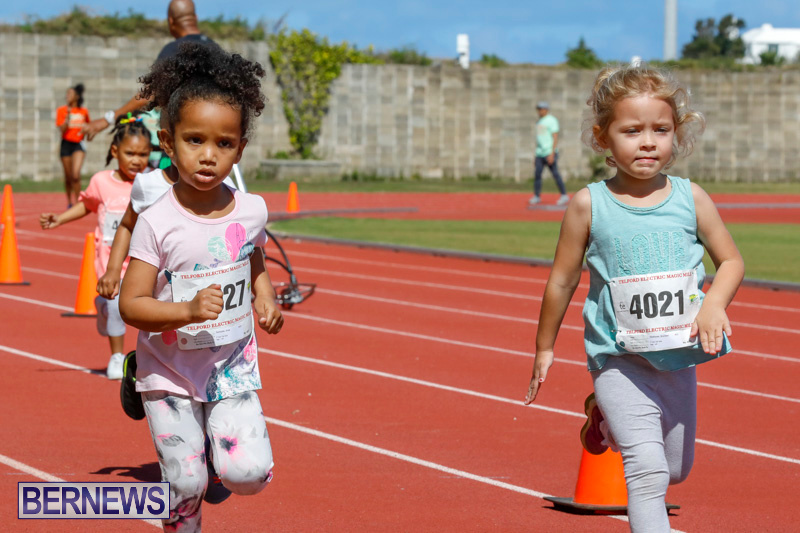 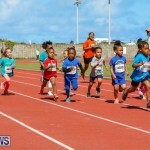 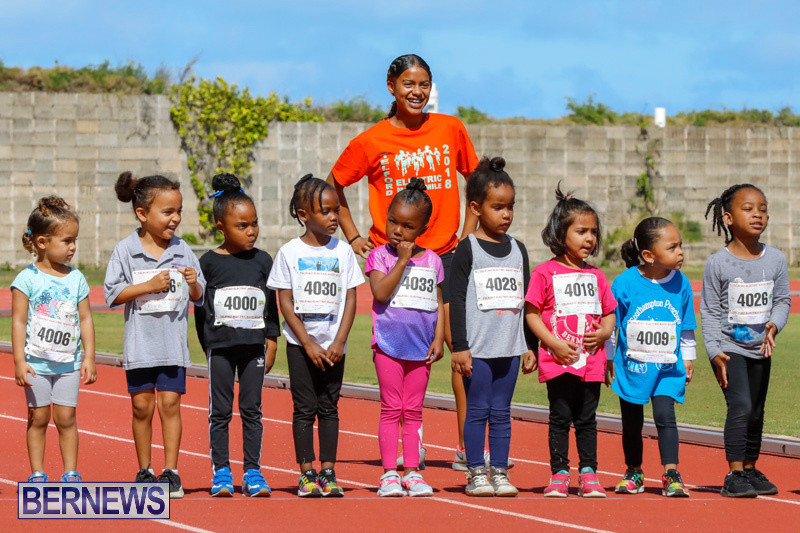 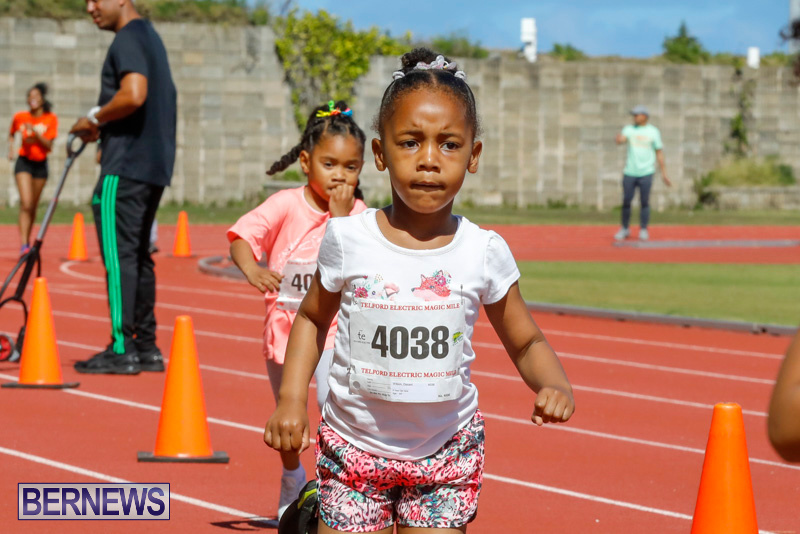 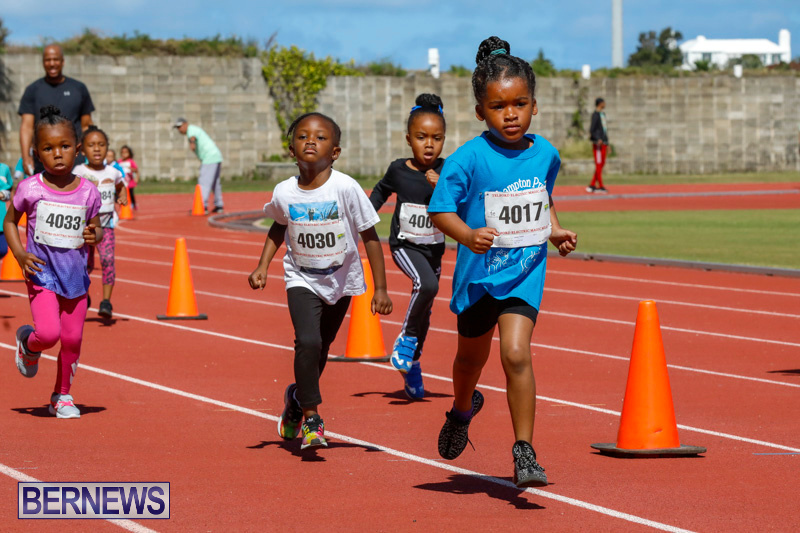 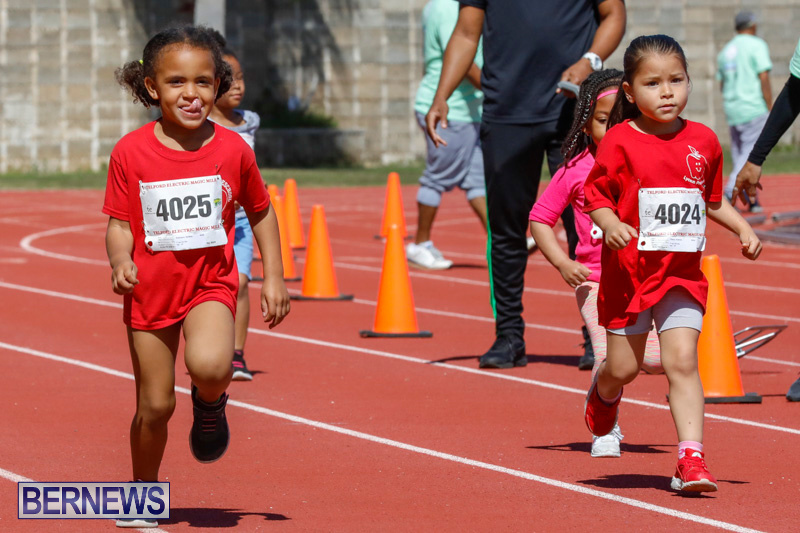 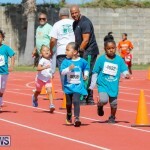 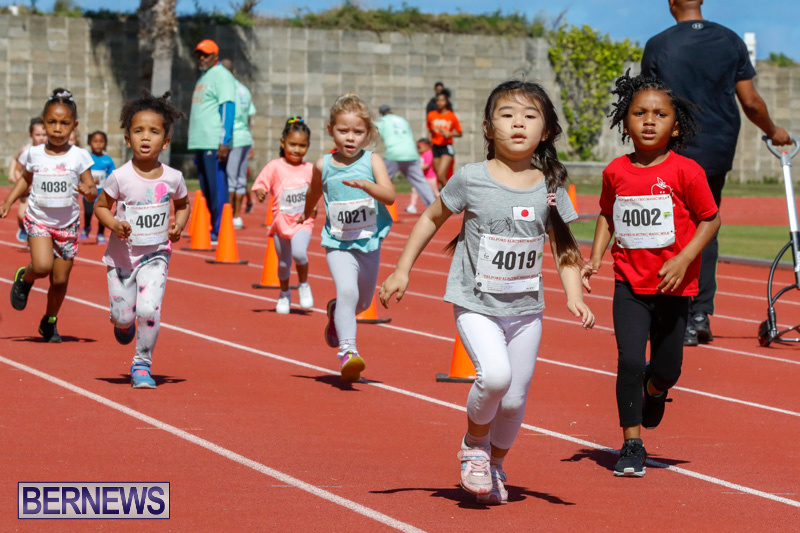 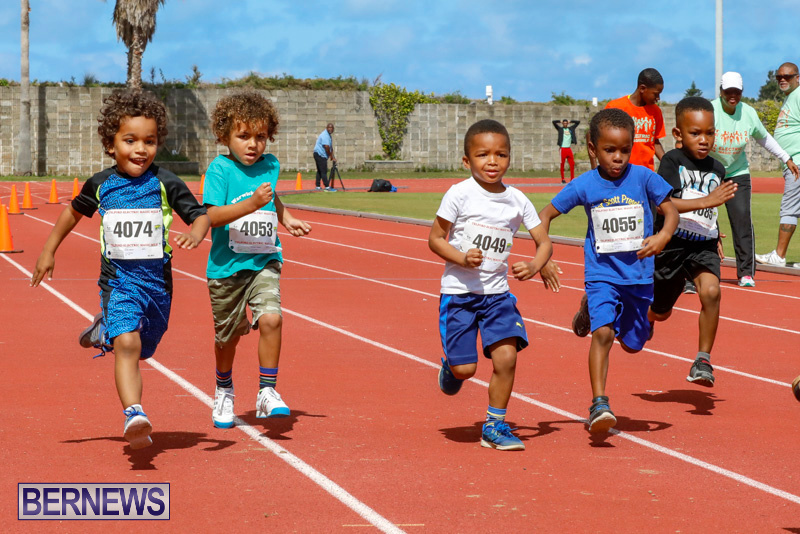 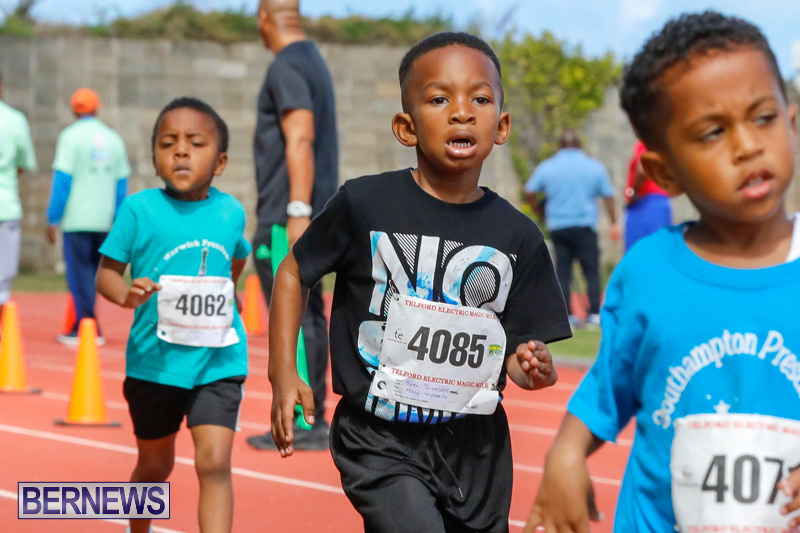 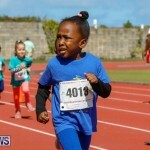 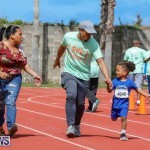 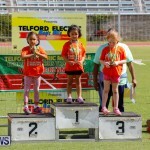 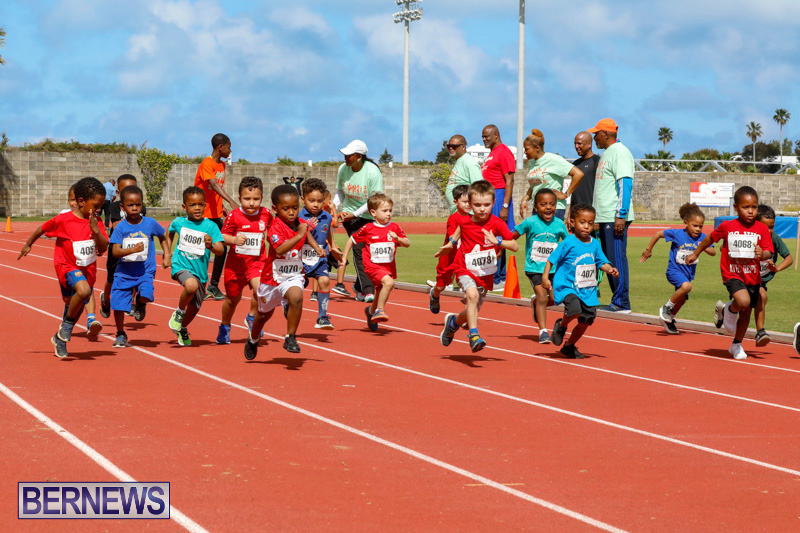 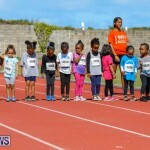 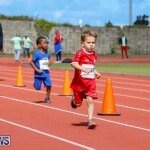 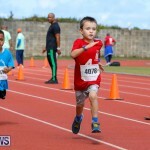 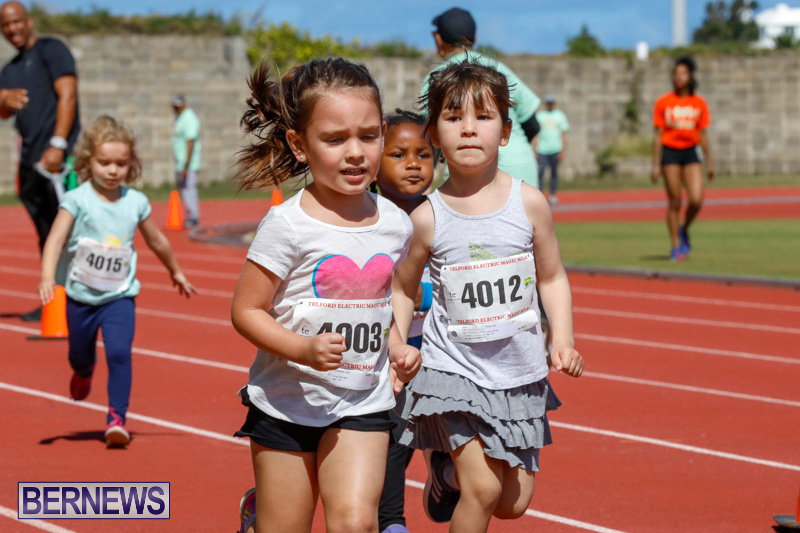 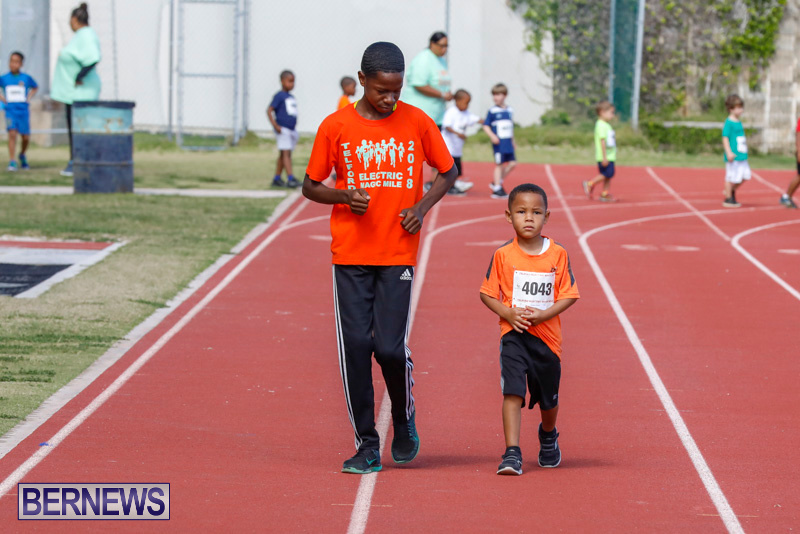 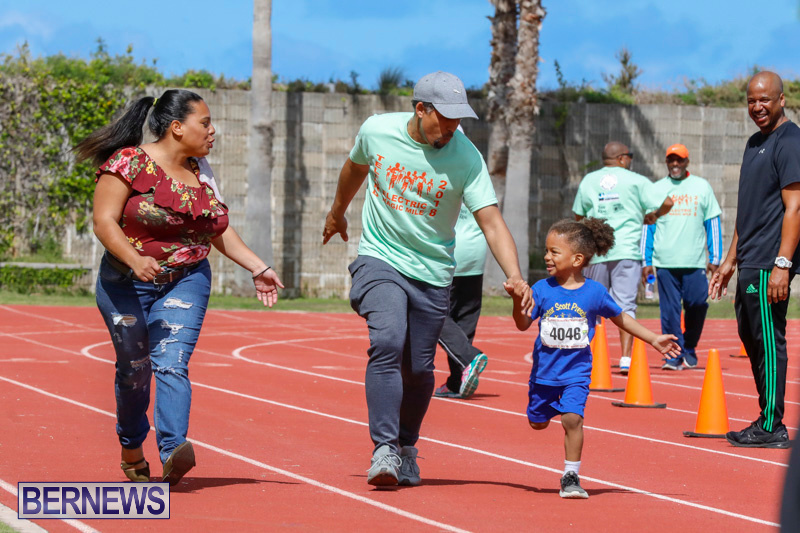 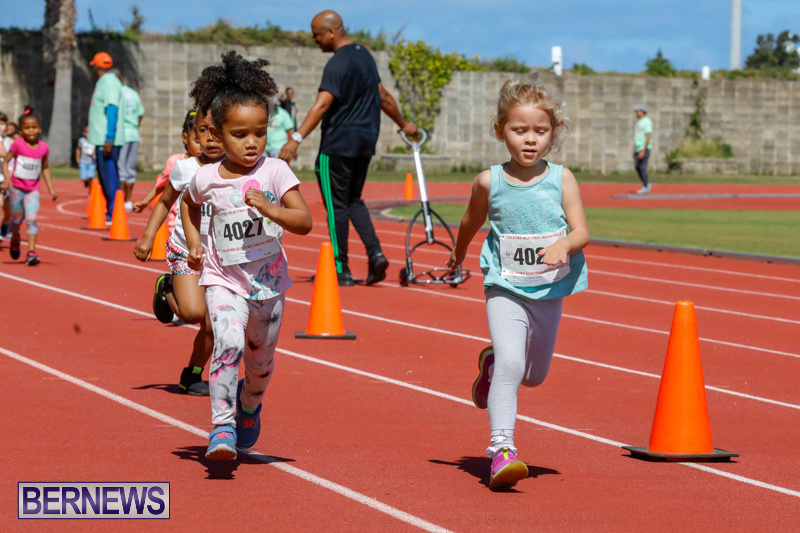 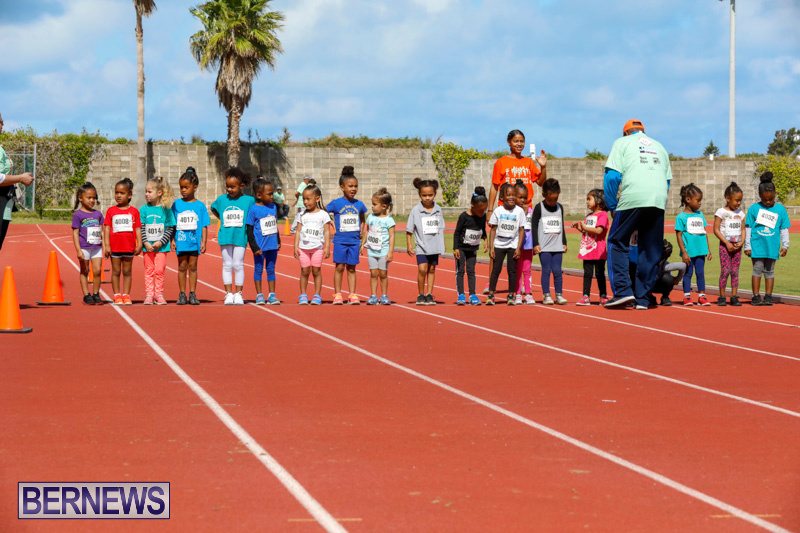 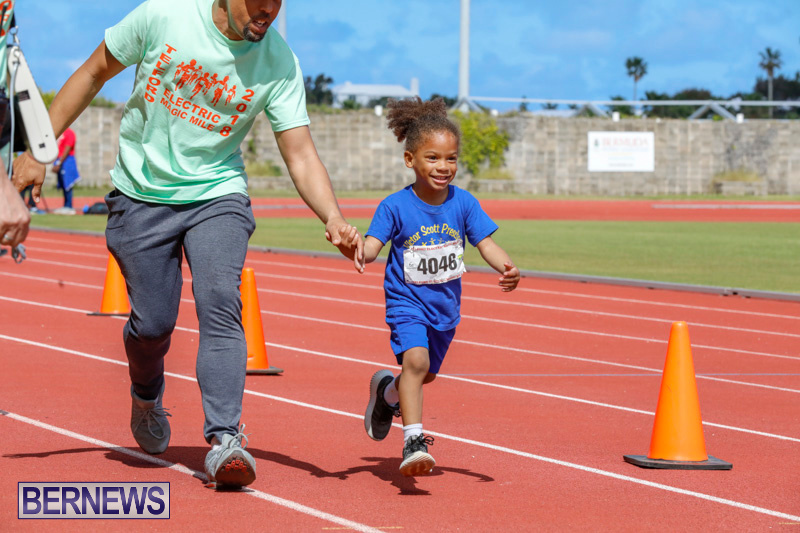 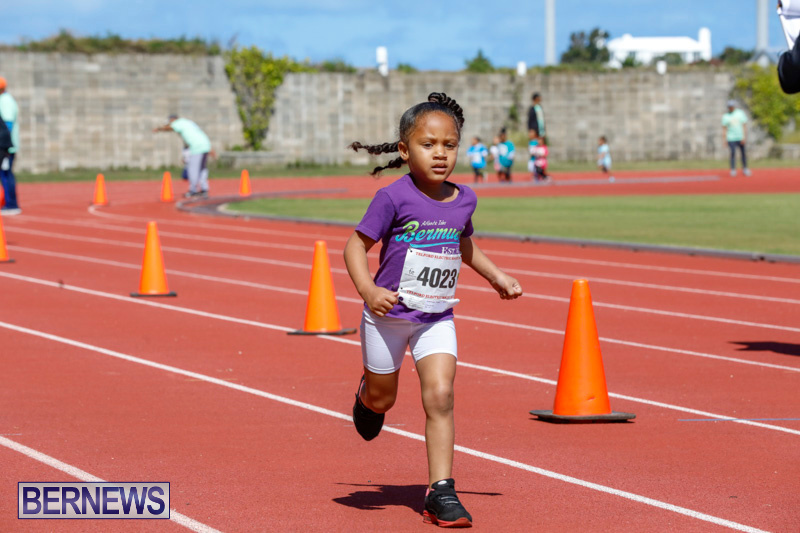 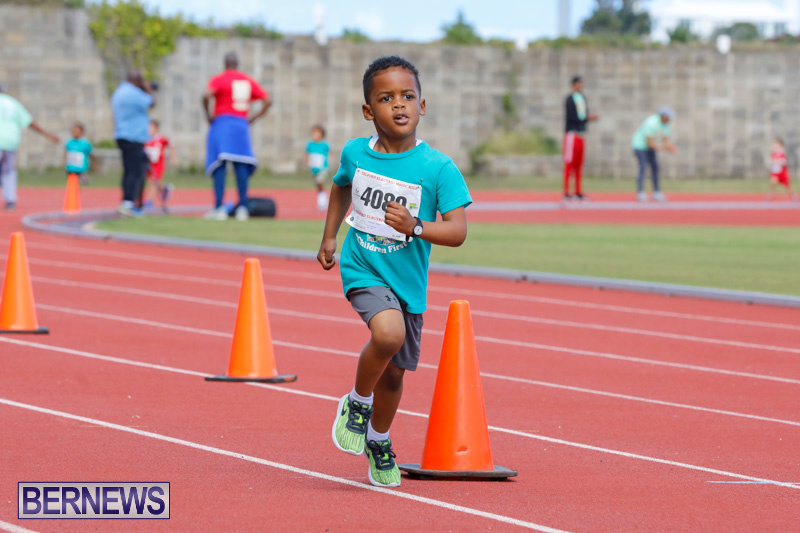 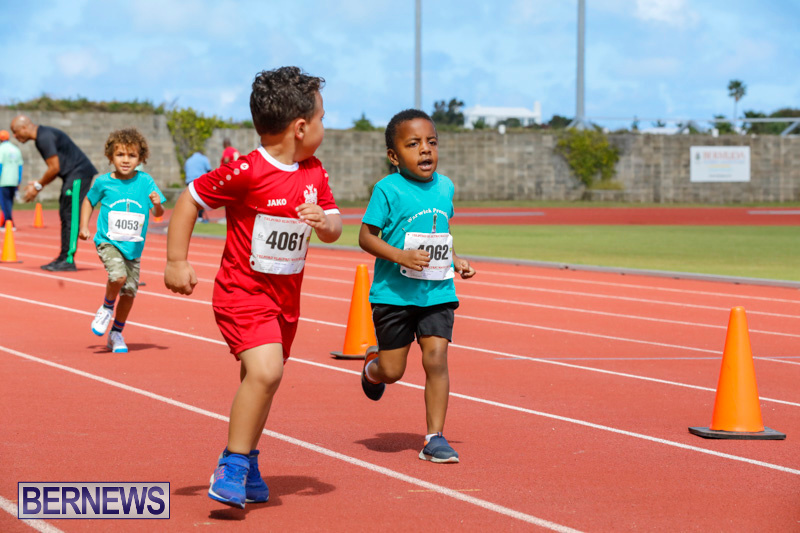 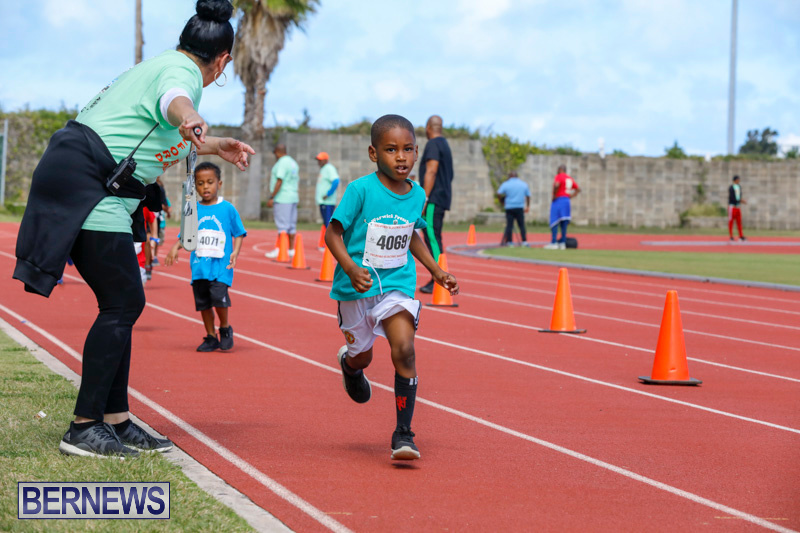 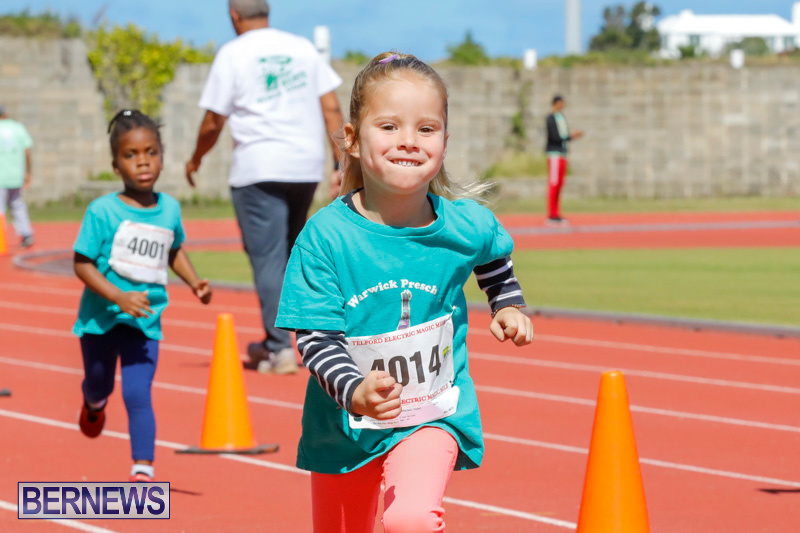 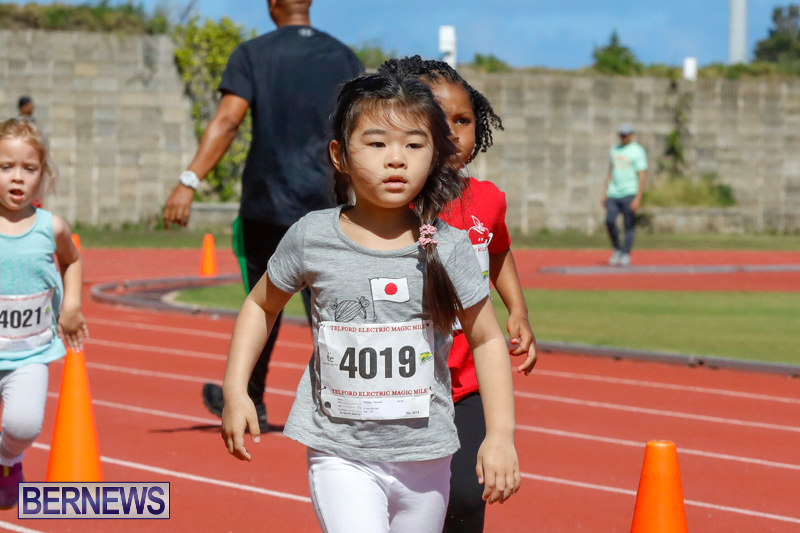 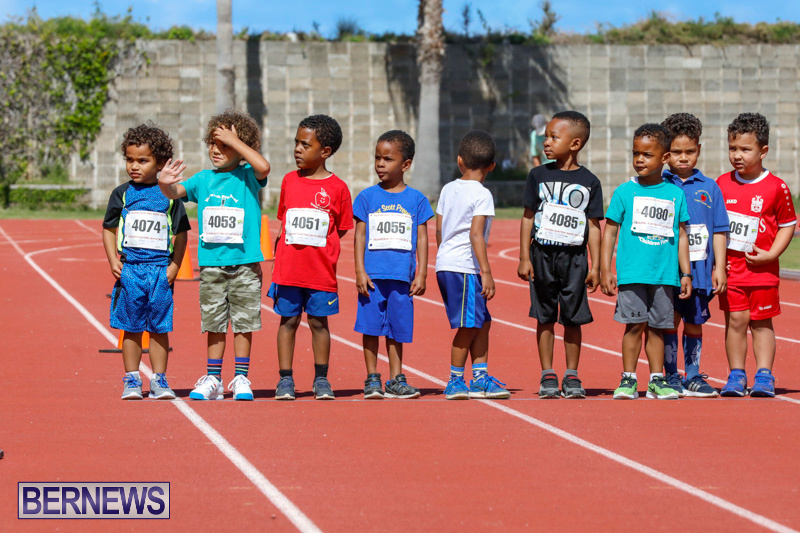 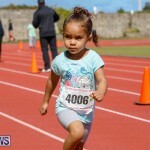 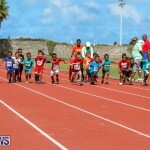 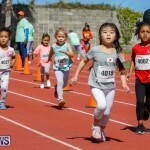 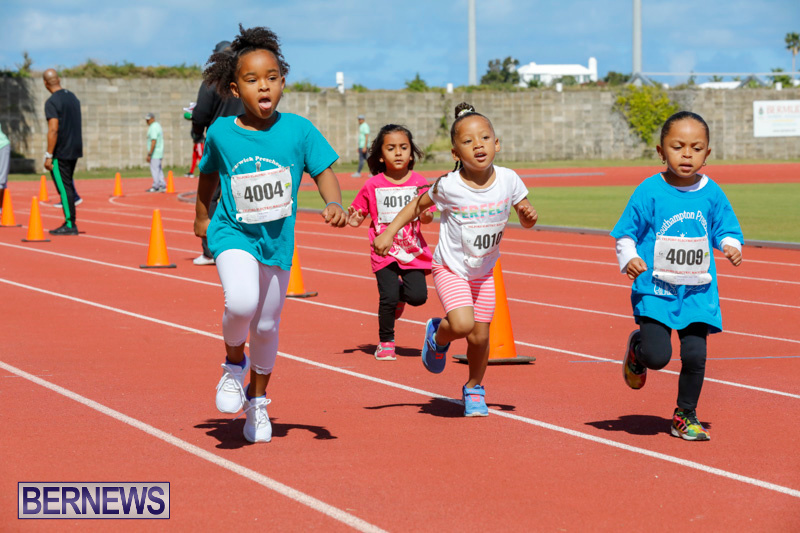 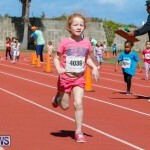 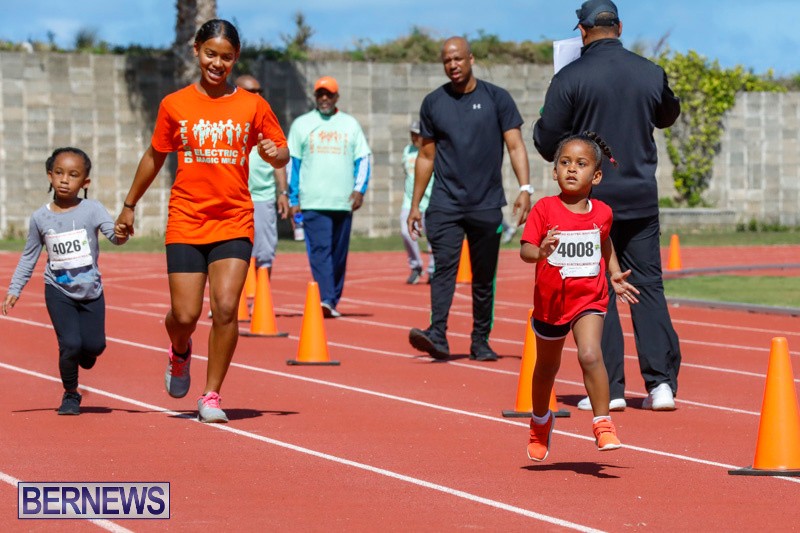 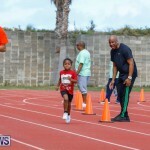 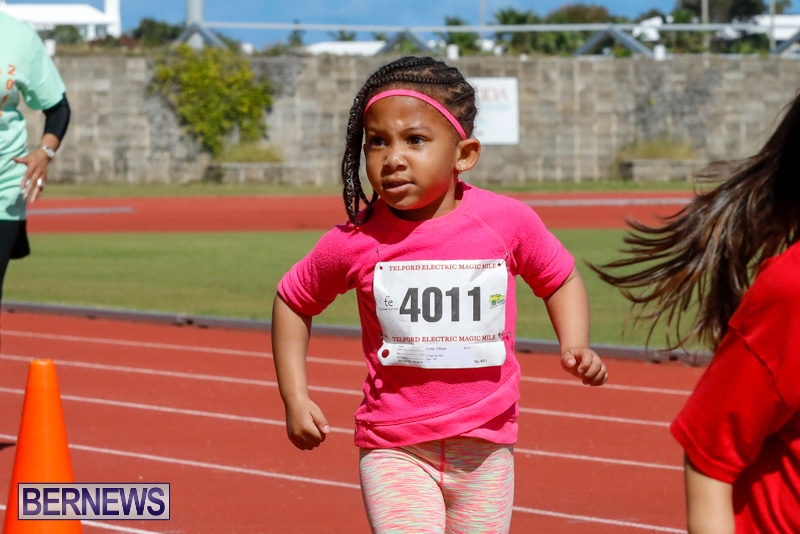 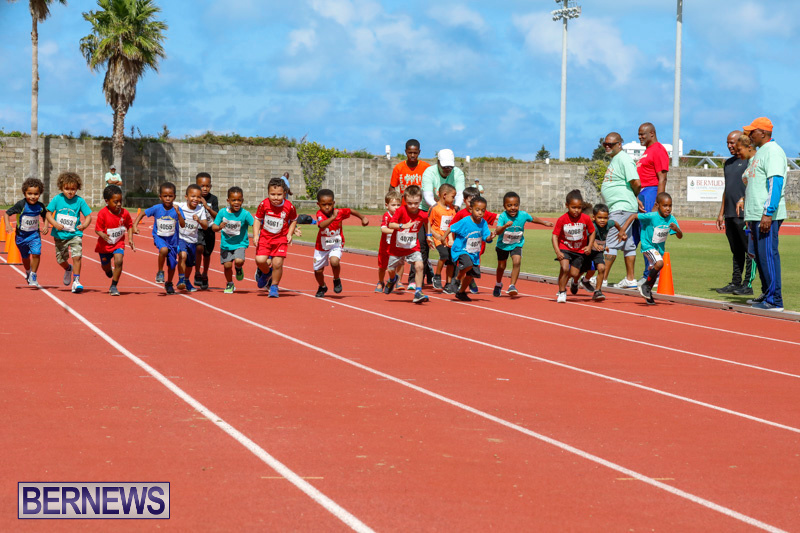 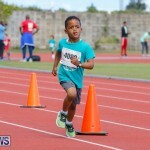 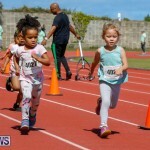 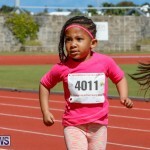 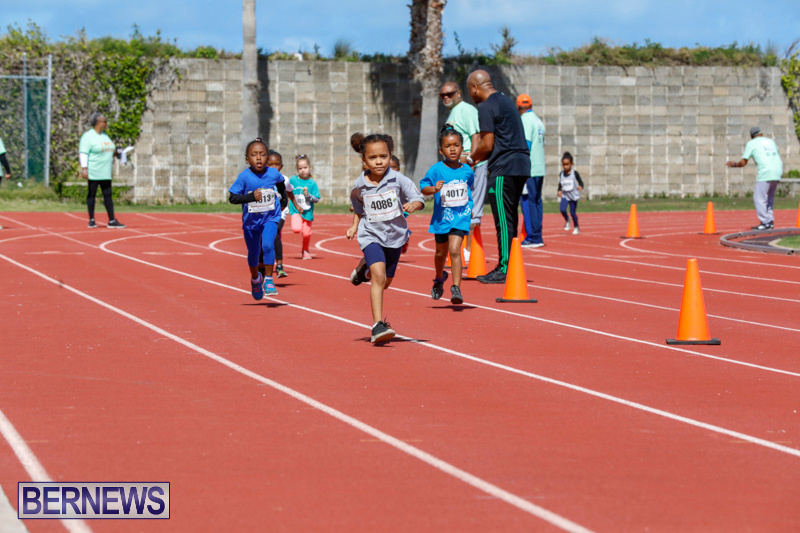 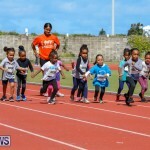 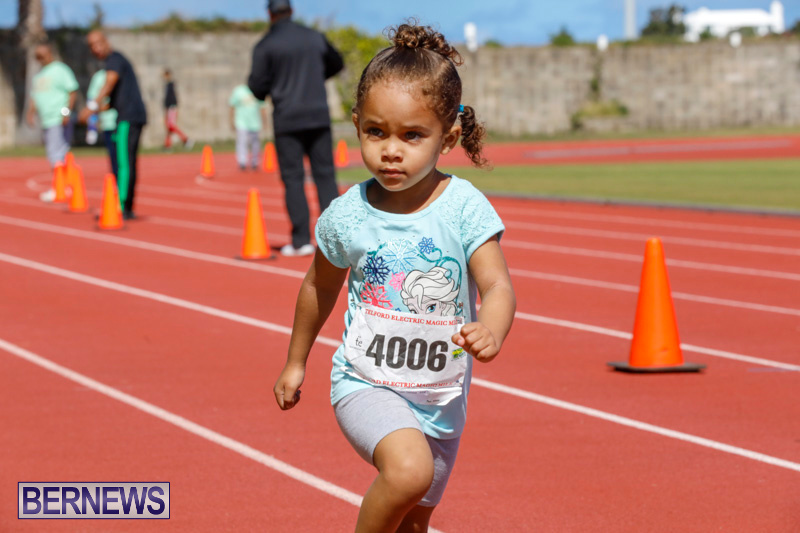 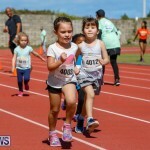 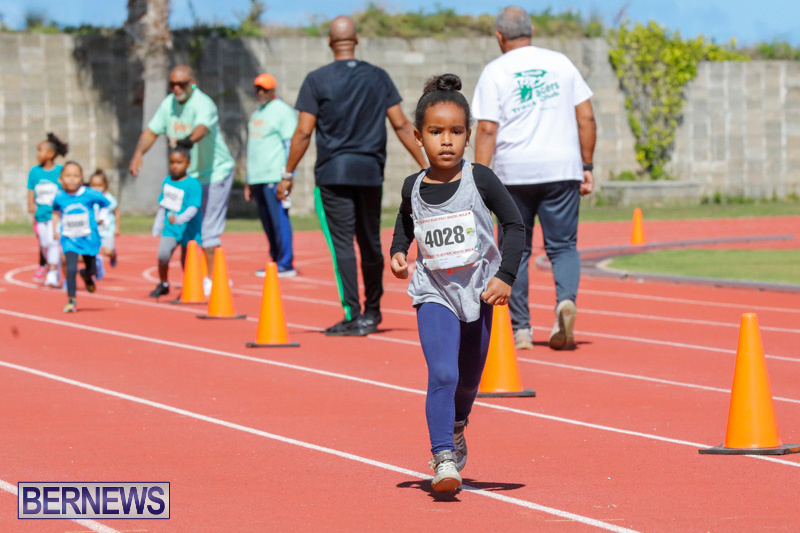 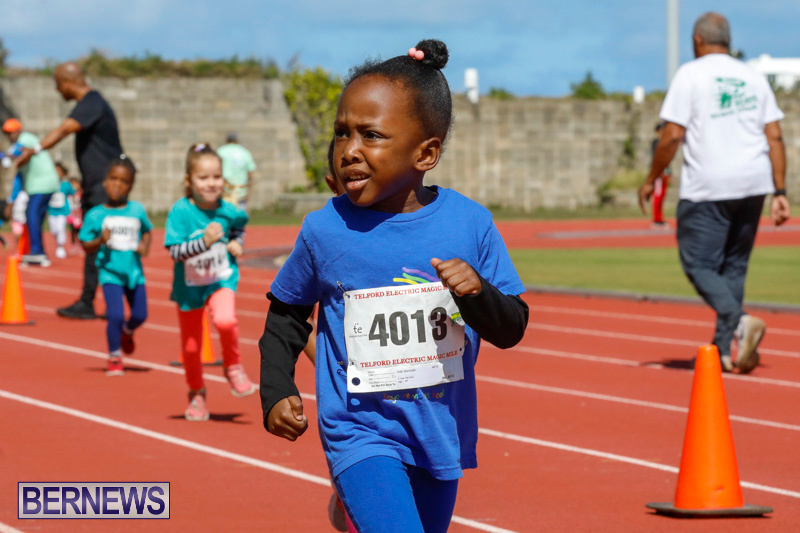 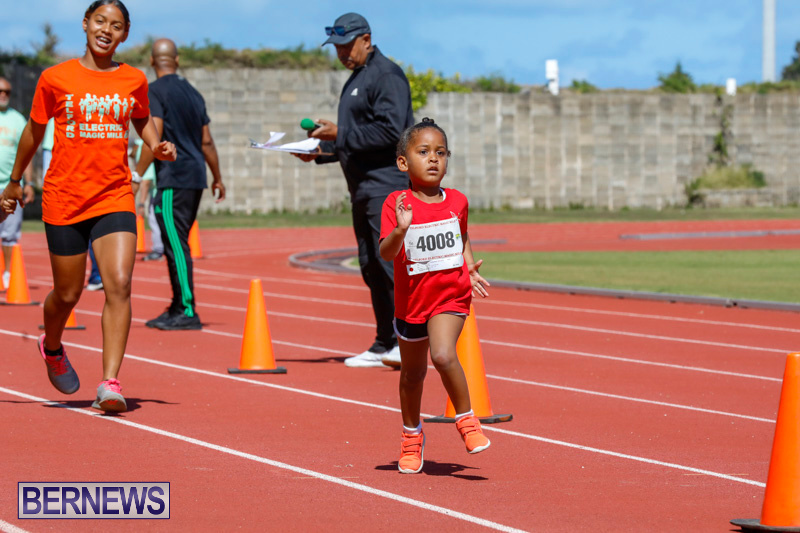 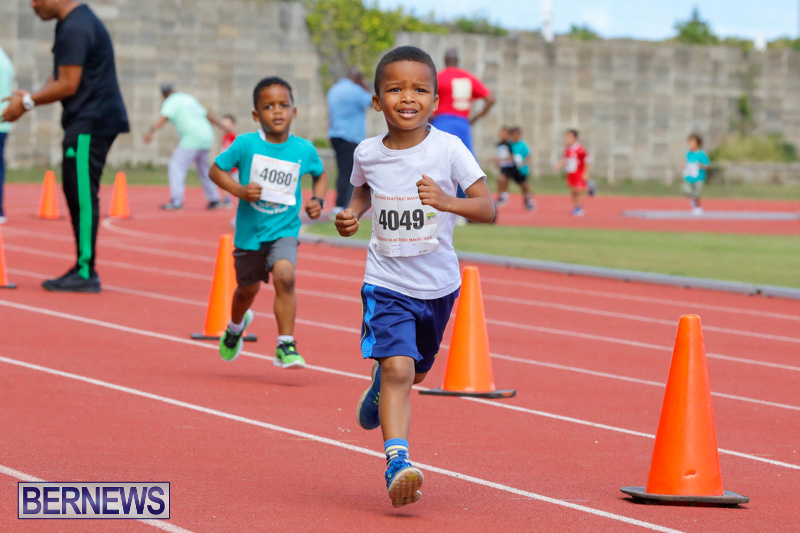 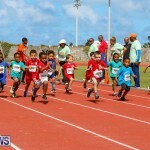 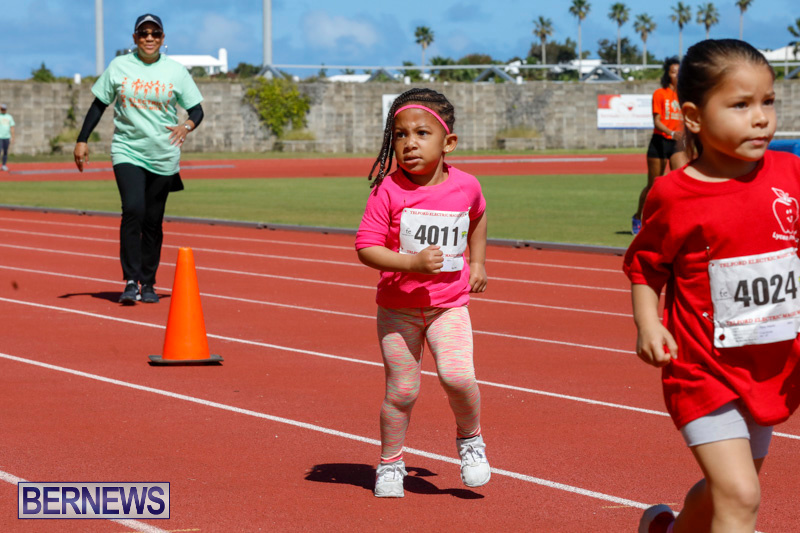 [Updated with more photos] Telford Industries, in conjunction with The Bermuda Pacers Track Club held the Telford Electric Magic Mile at the National Sports Centre in Devonshire today [Feb 24] with hundreds of children taking part in the always popular annual event. 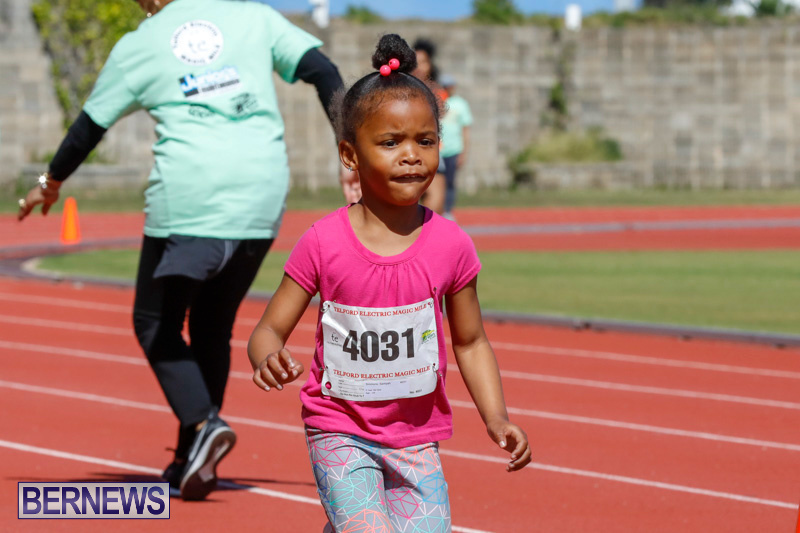 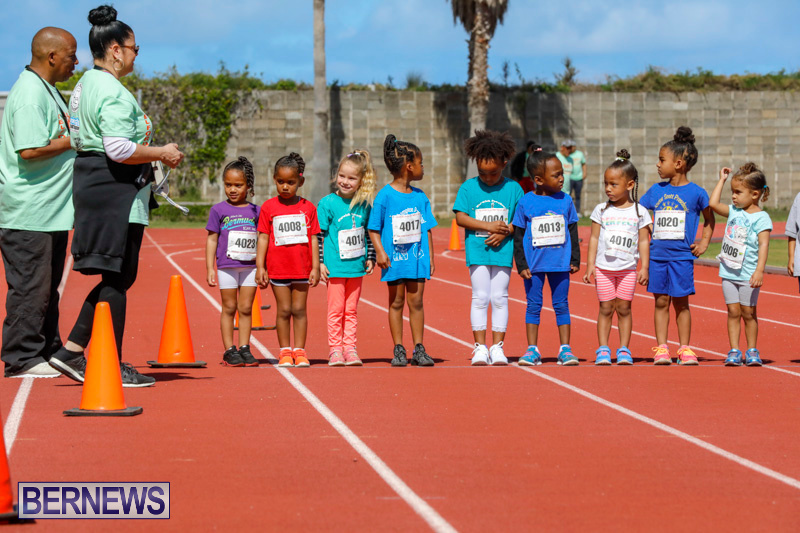 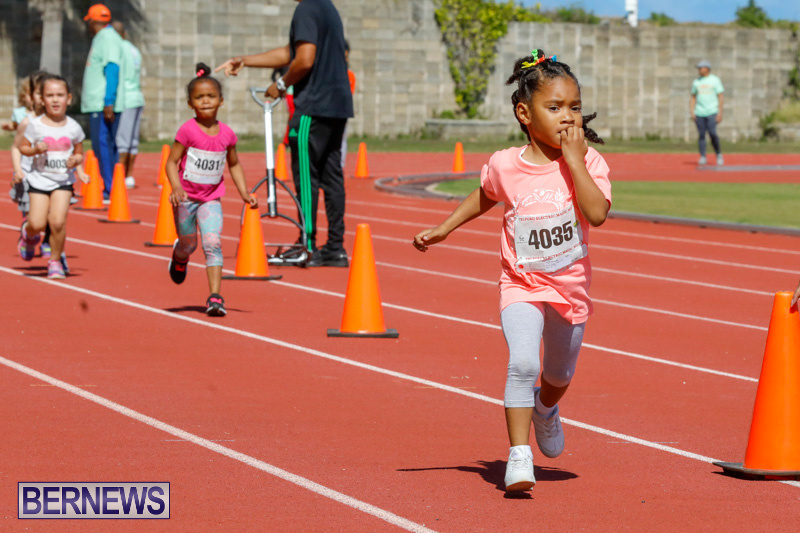 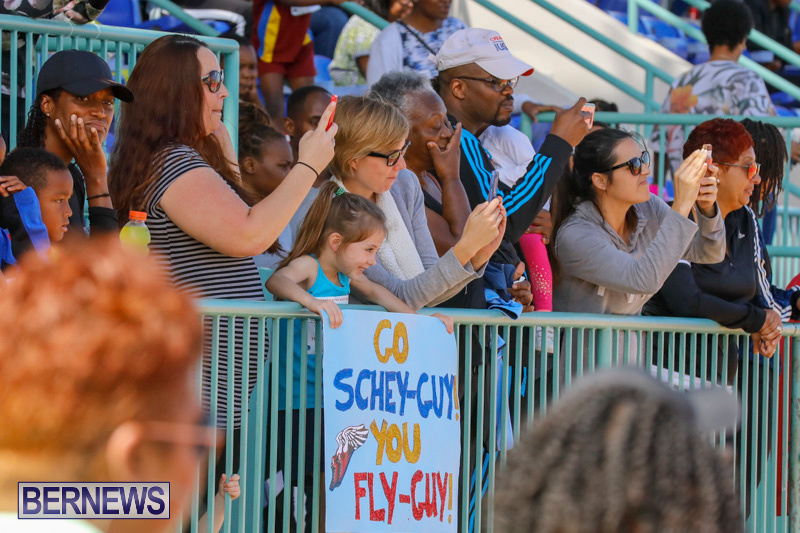 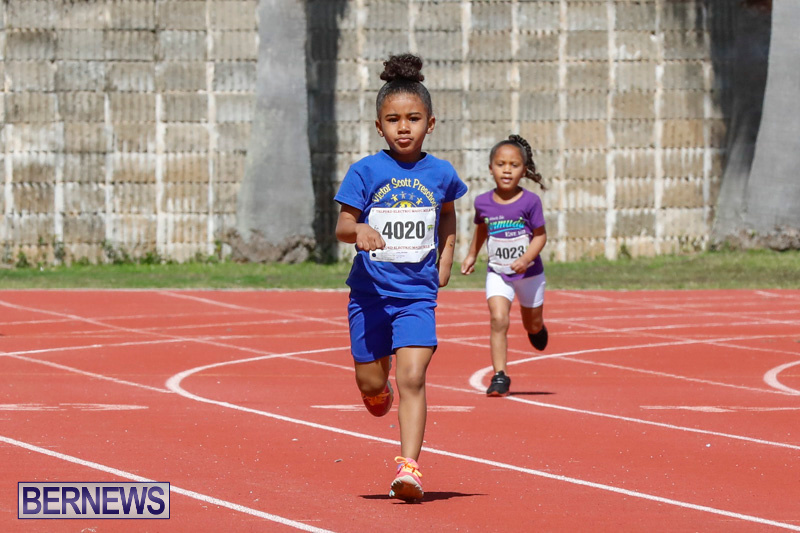 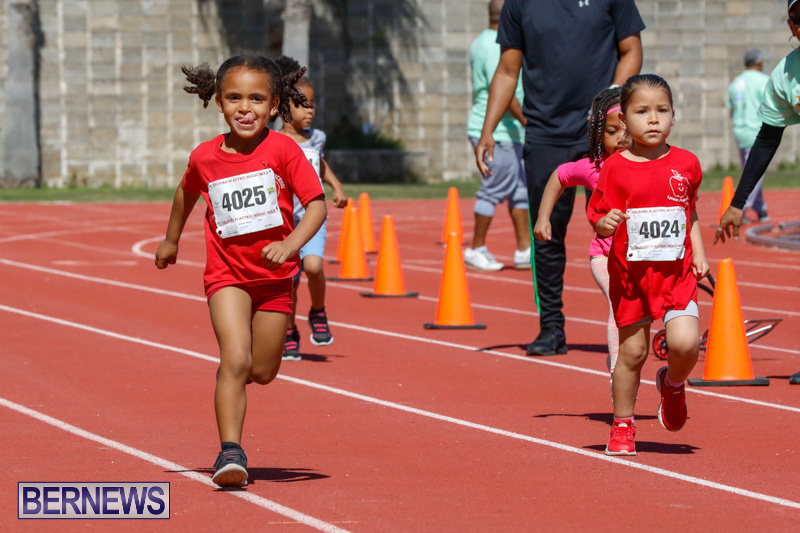 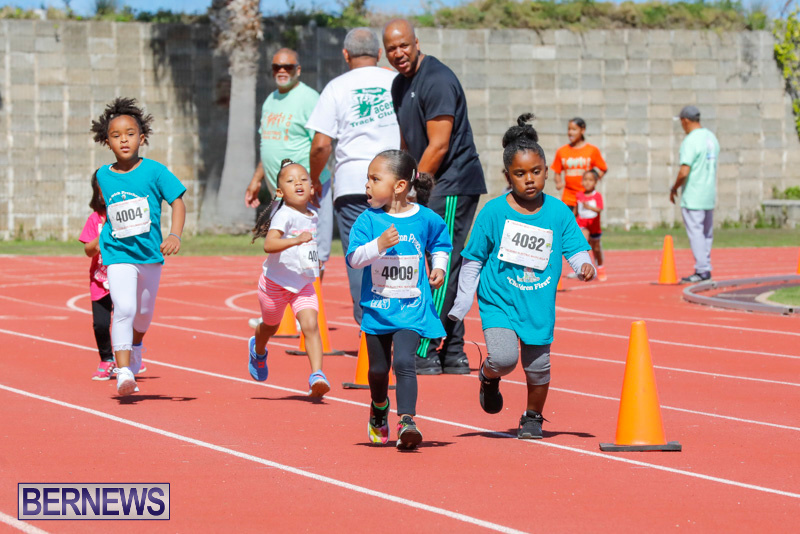 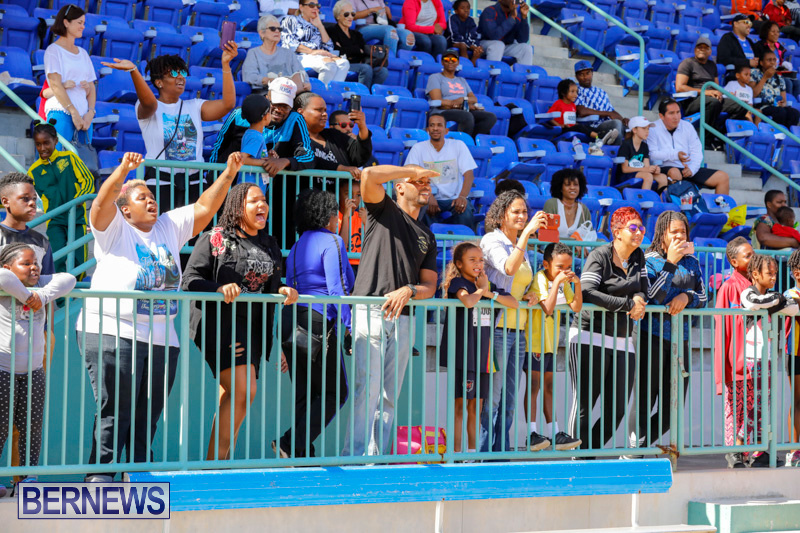 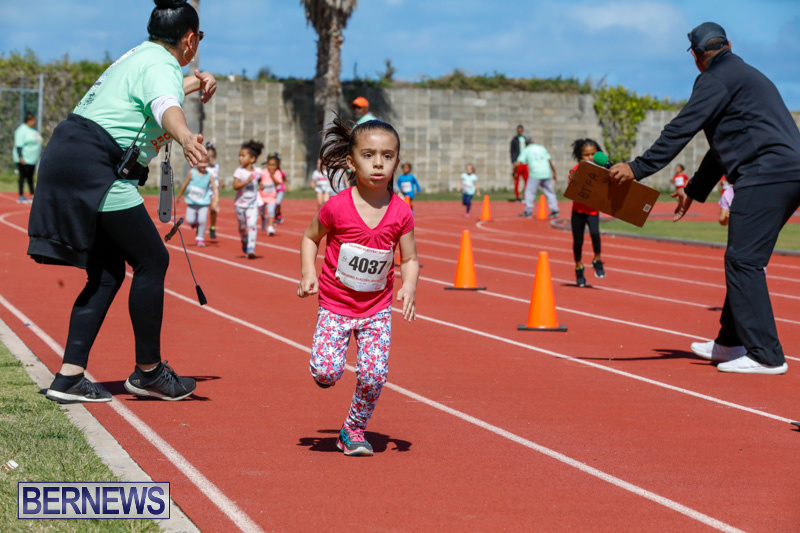 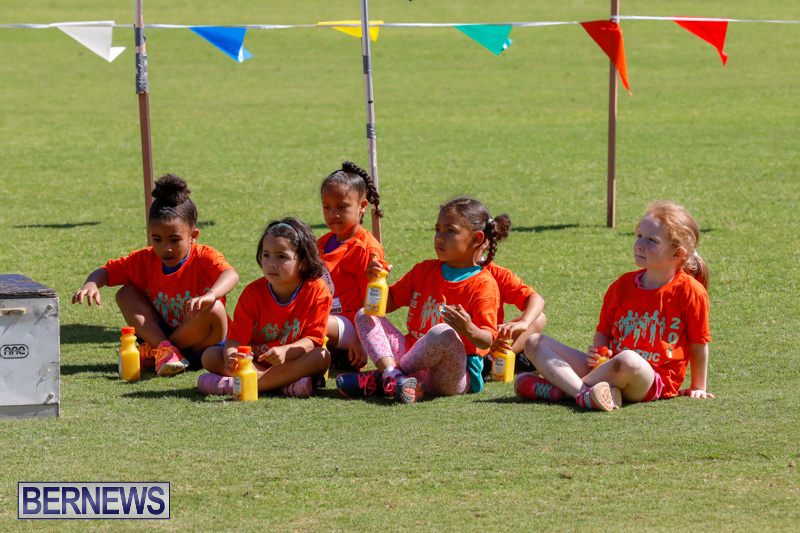 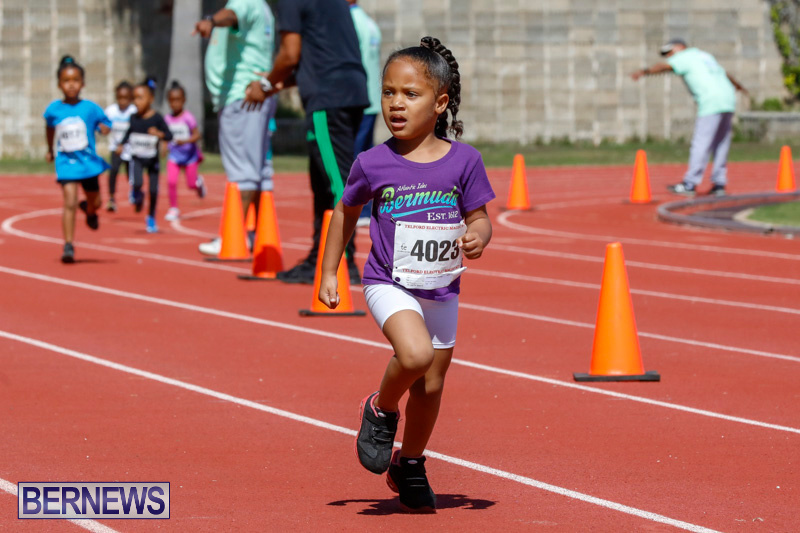 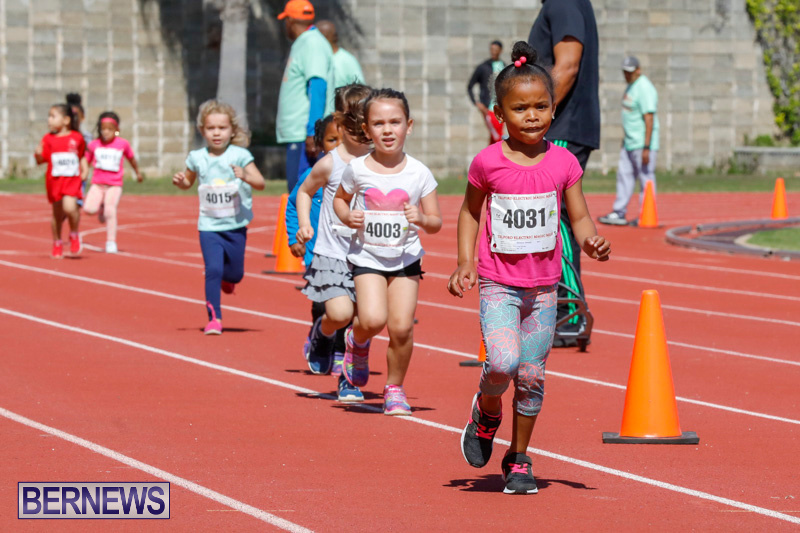 In the 8-9 Year Old Girls race, Legend Stevenson crossed the line first in a time of 8:45.47 while Jaeda Grant placed second in a time of 9:07.08 and Keyandae Lightbourne came third in a time of 9:43.66 802. 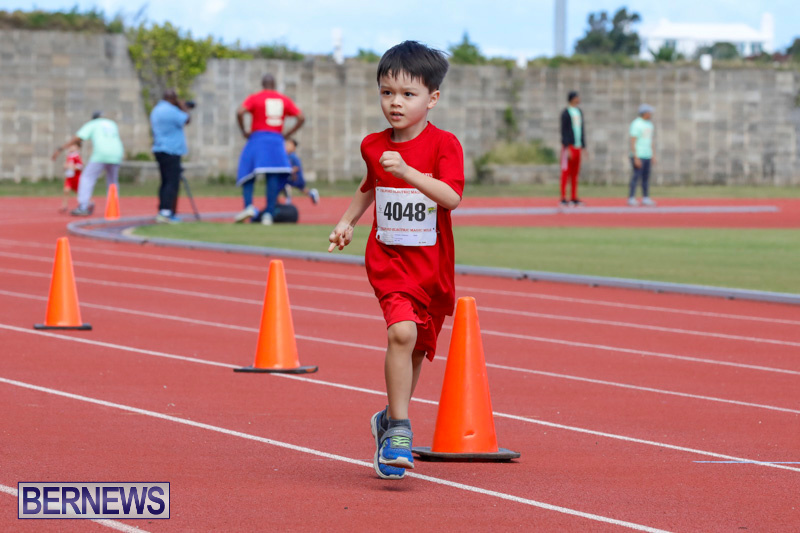 The boys race saw Feidhlim Carr place first with a time of 9:37.24 while Masaki Kitade came second with a time of 9:44.33 and Tom Hyland placed third in a time of 9:49.43. 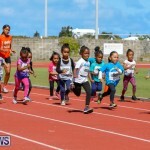 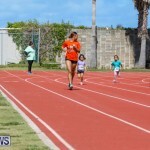 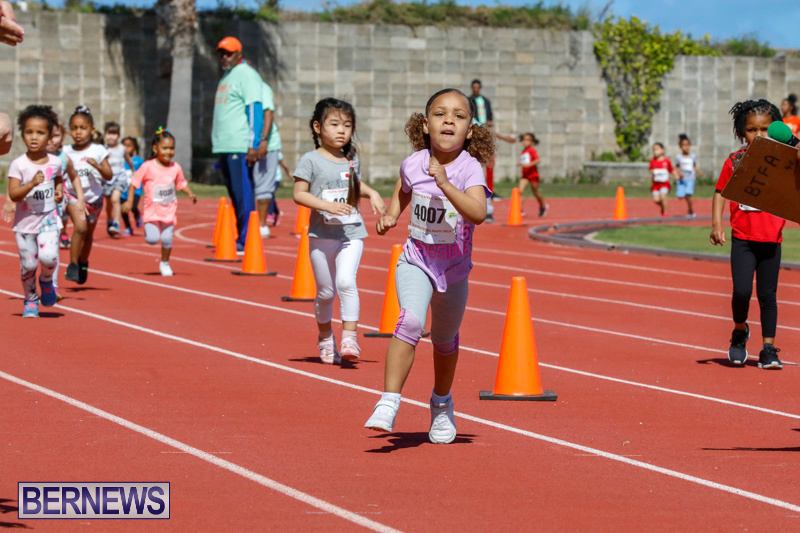 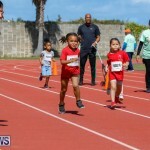 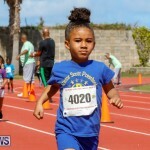 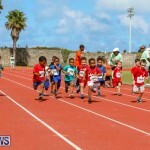 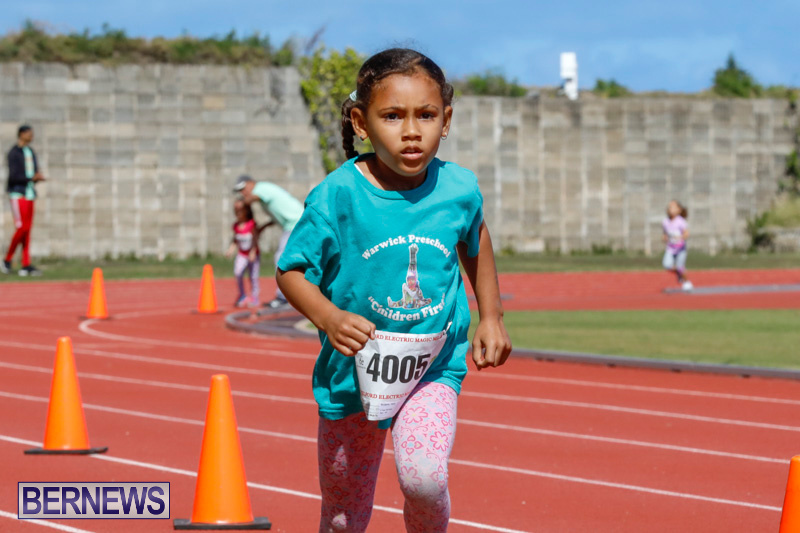 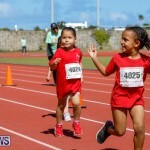 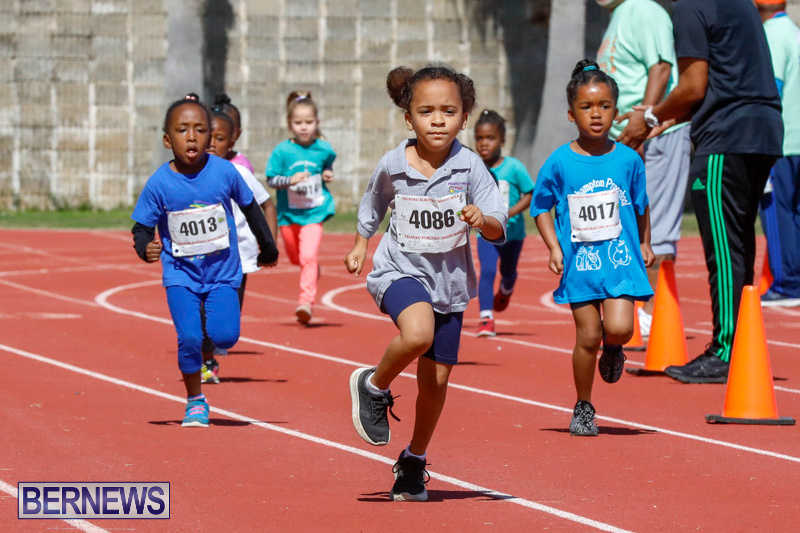 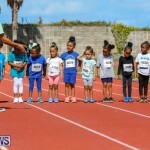 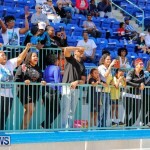 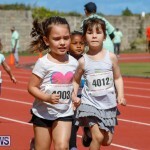 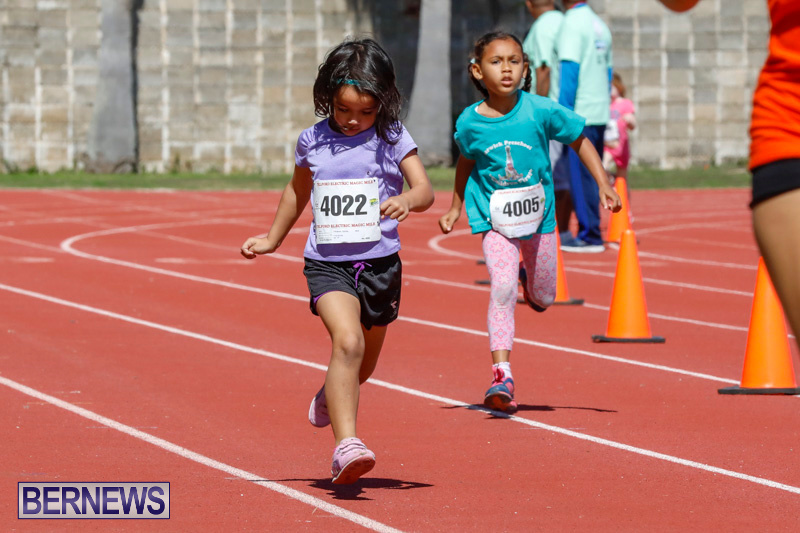 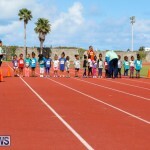 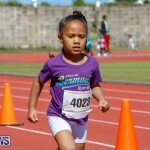 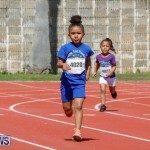 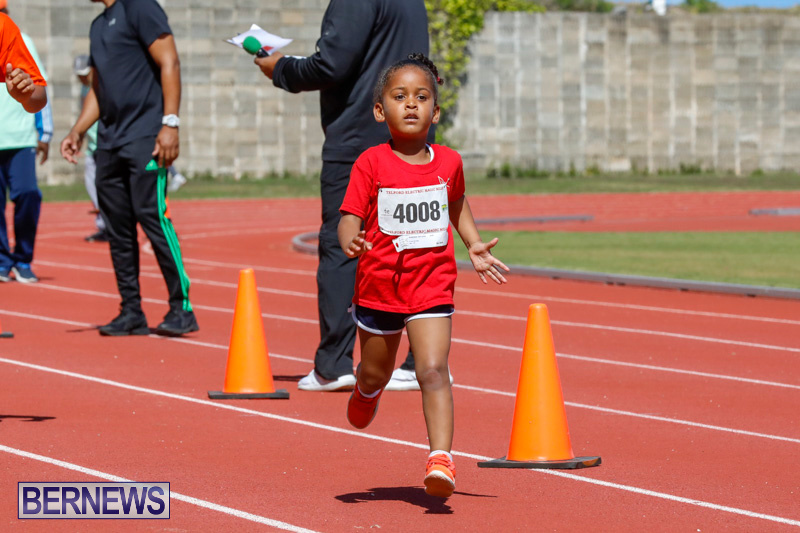 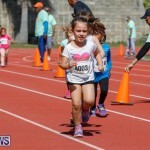 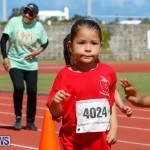 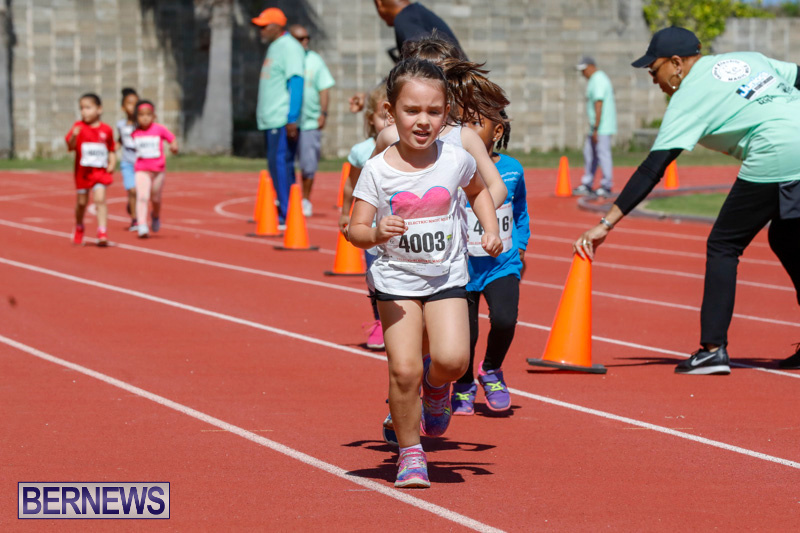 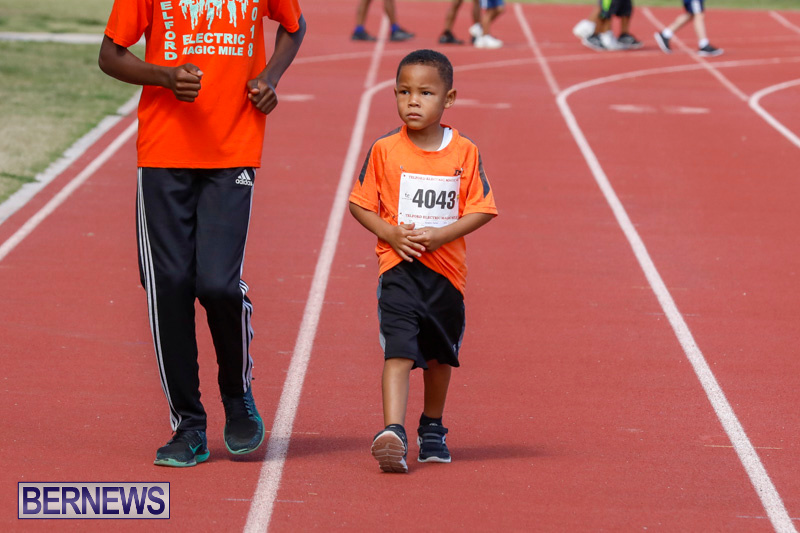 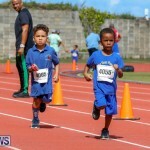 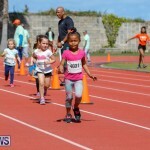 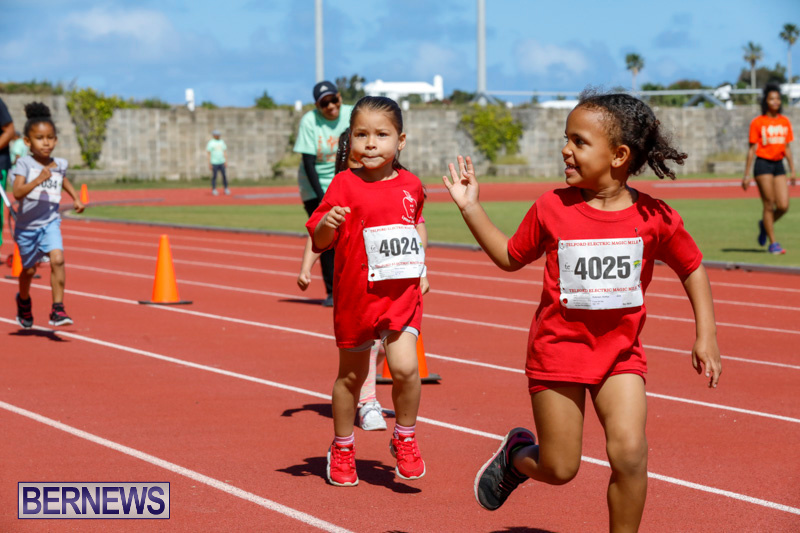 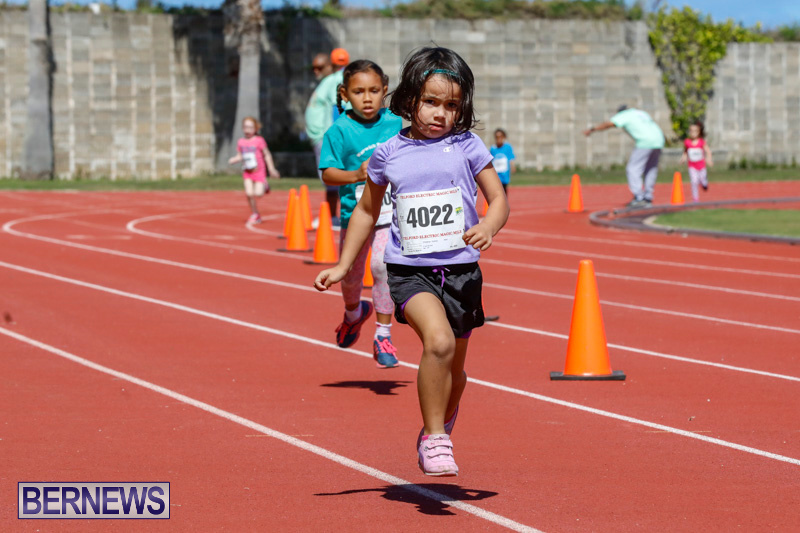 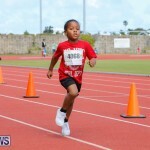 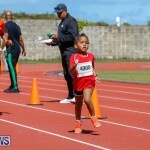 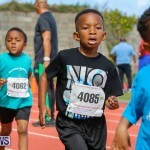 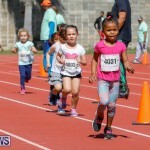 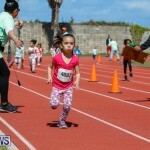 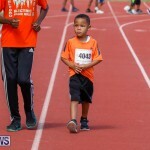 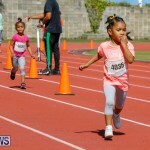 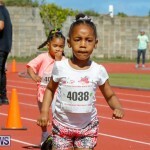 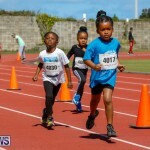 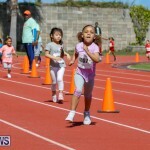 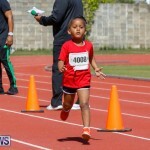 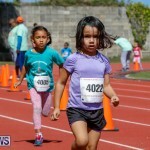 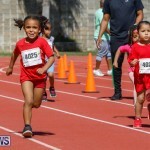 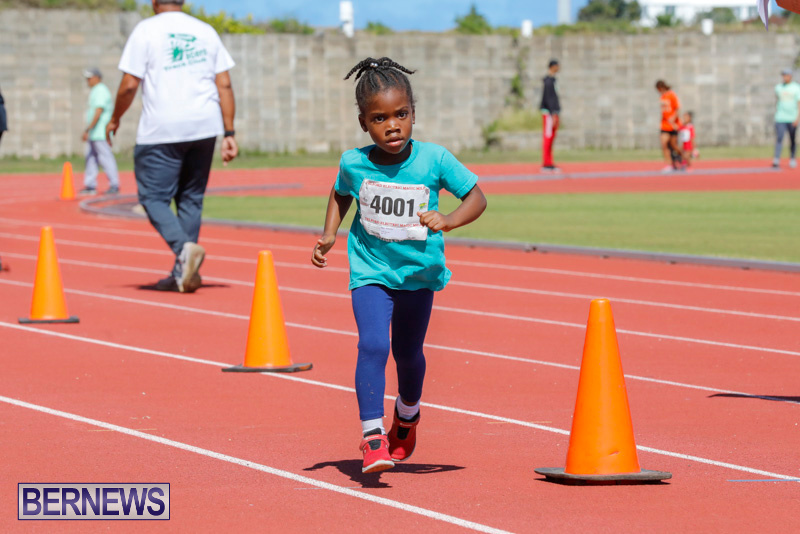 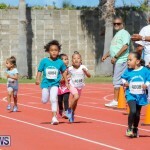 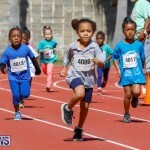 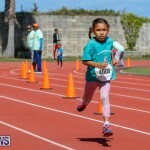 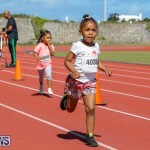 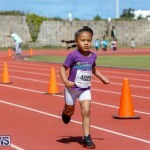 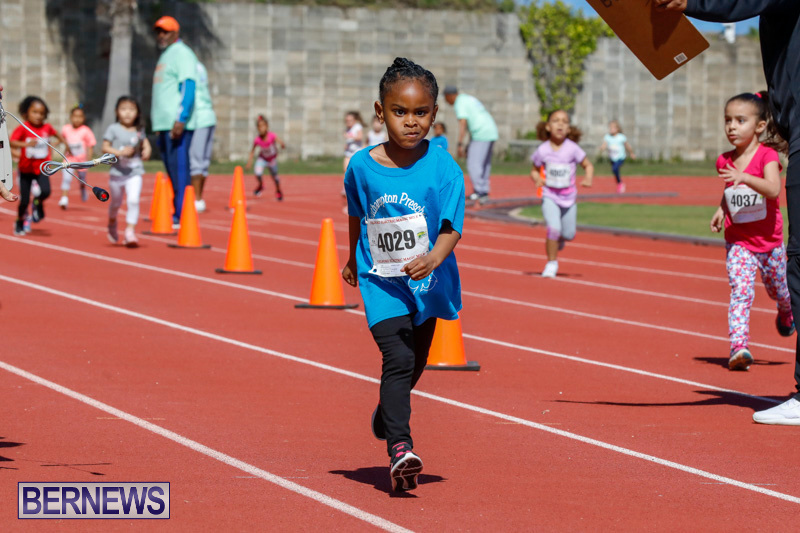 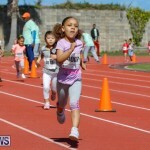 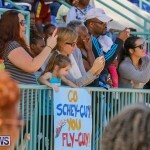 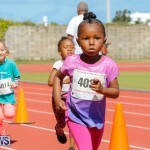 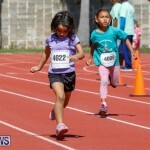 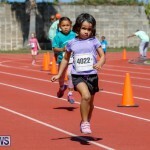 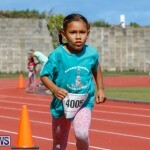 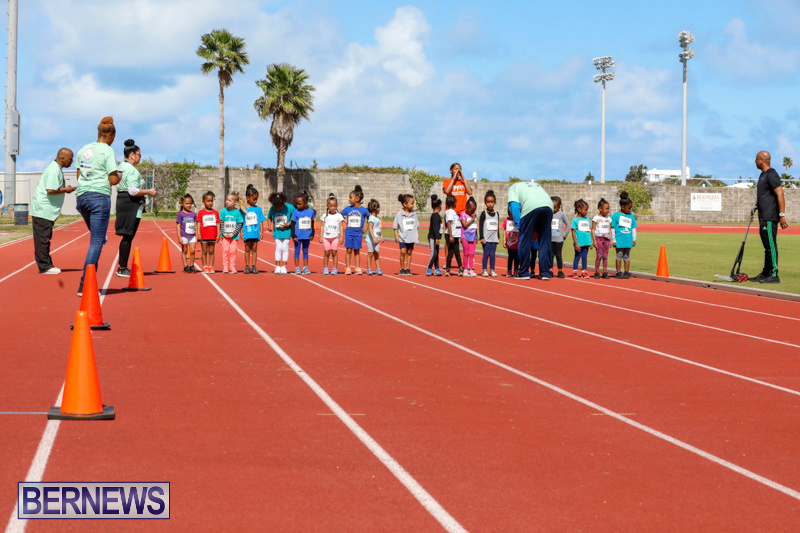 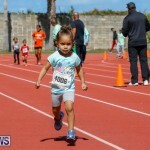 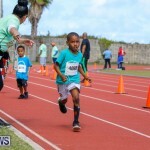 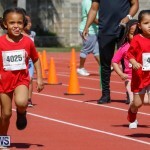 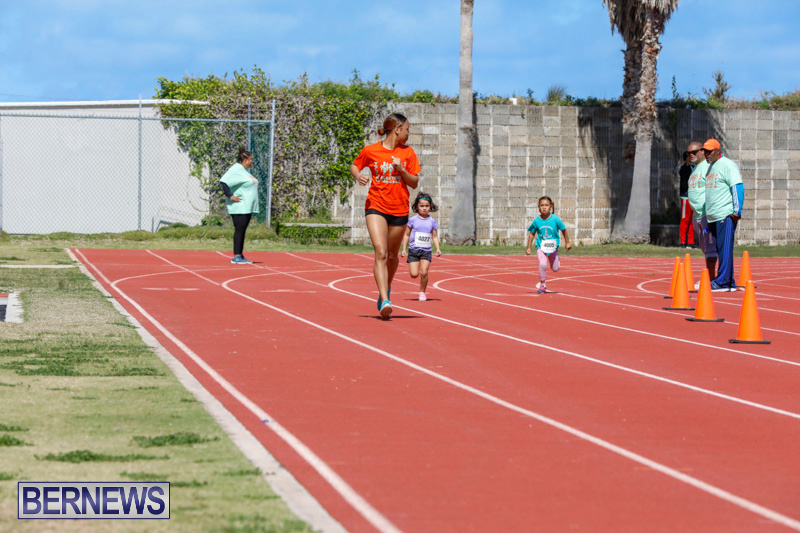 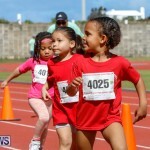 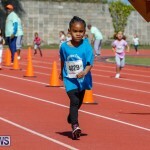 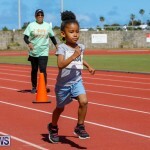 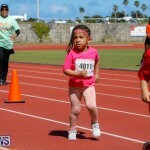 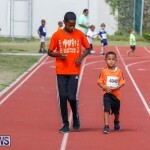 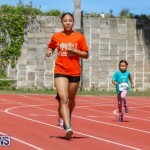 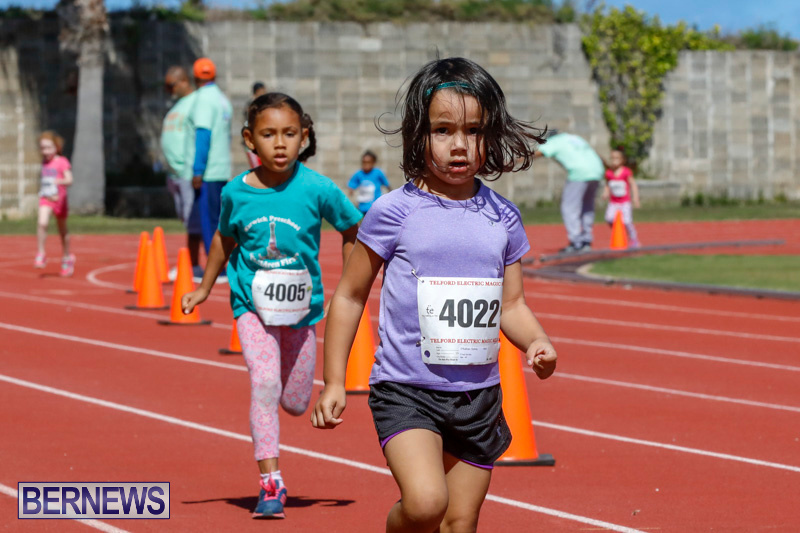 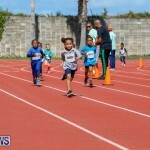 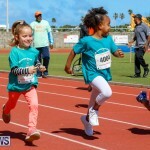 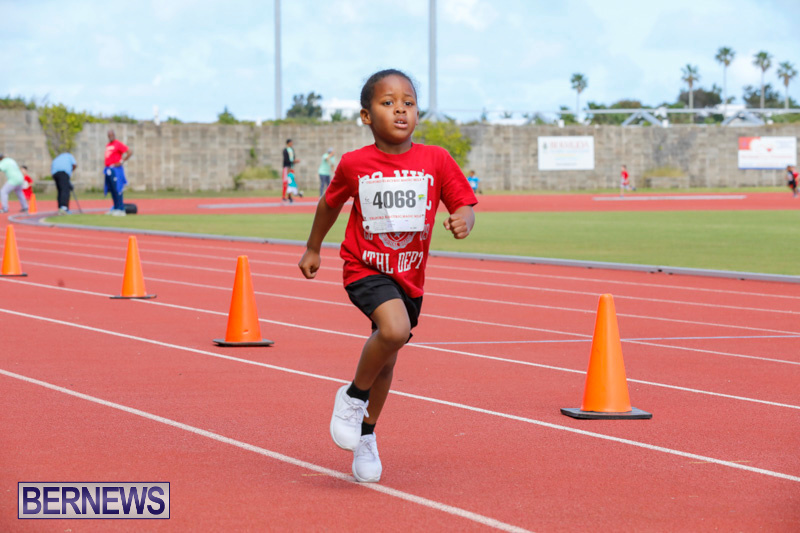 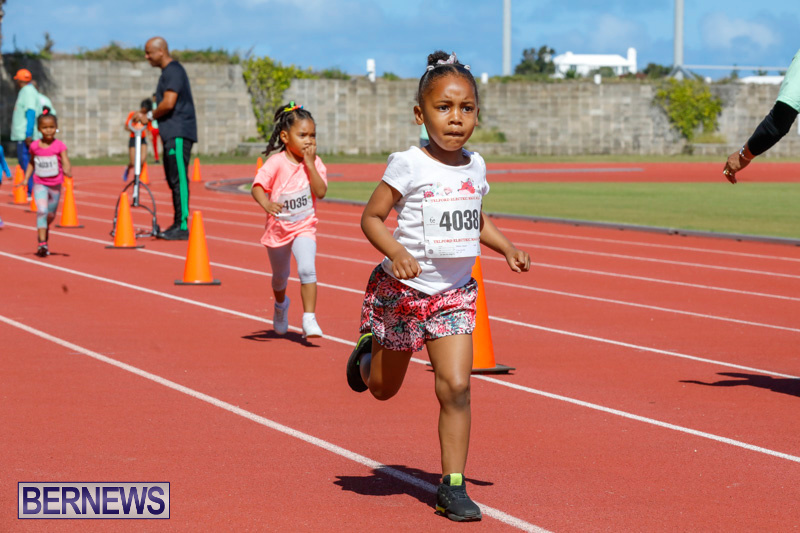 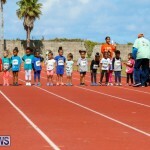 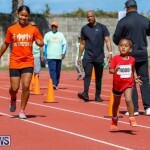 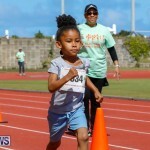 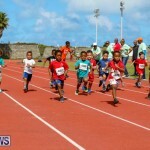 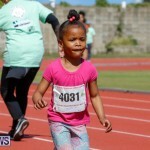 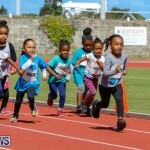 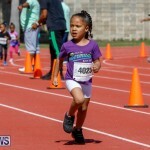 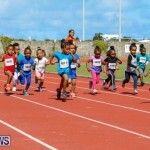 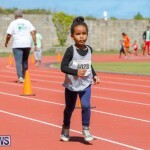 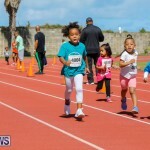 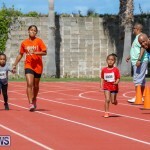 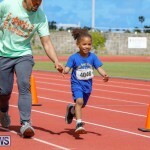 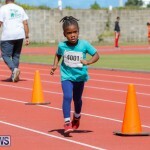 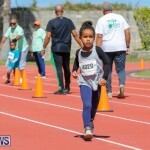 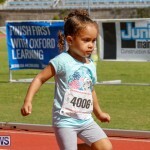 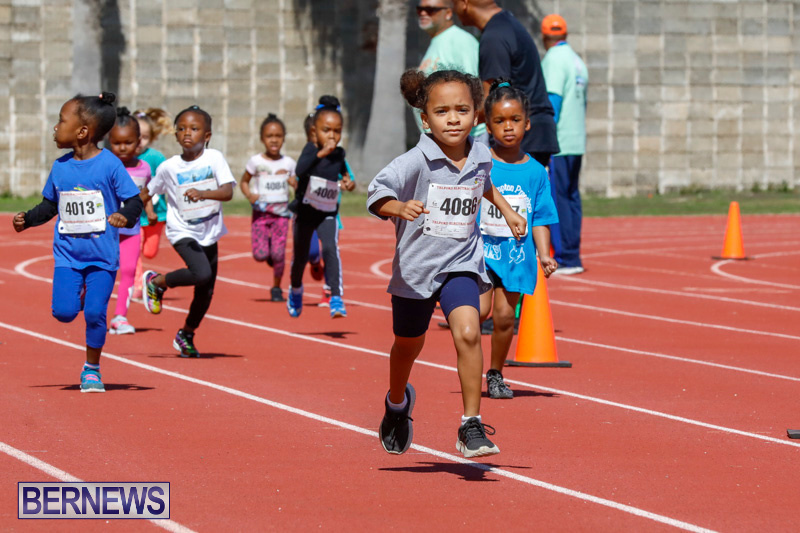 In the 10-11 Year Old Girls race, Katherine Bean-Rosario crossed the line first in a time of 8:58.12 while Ramiah Brangman placed second in a time of 9:16.92 and Ellise Dickinson came third in a time of 9:22.23. 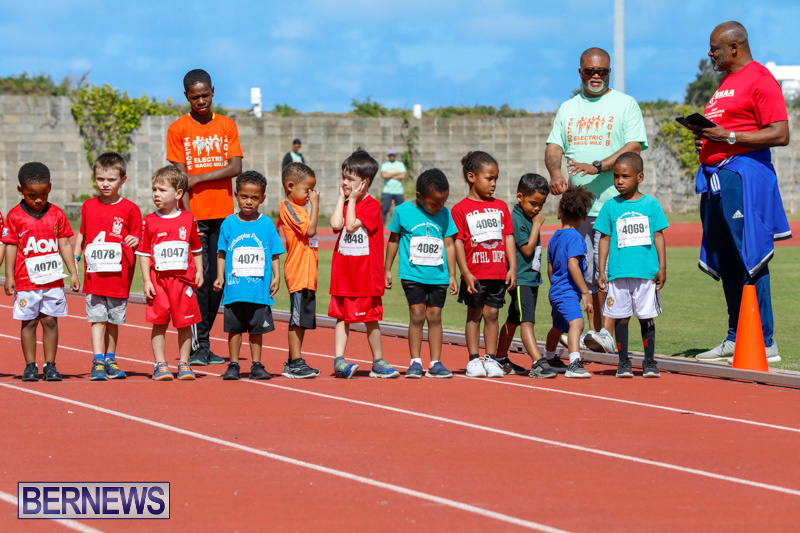 The boys race saw Bakari Furbert place first with a time of 8:12.79 while Nayan Grant came second with a time of 8:15.92 and Jace Donawa placed third in a time of 8:24.46. 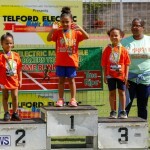 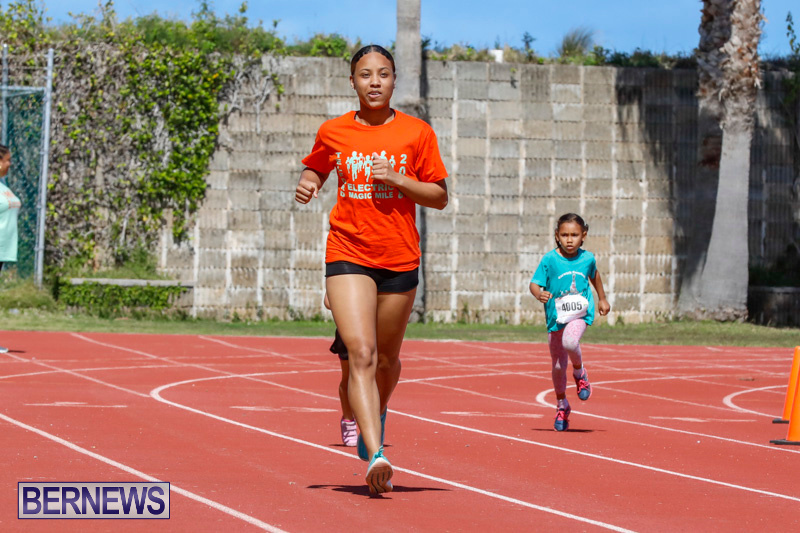 In the 12-15 Year Old Girls race, Jezhari Talbot crossed the line first in a time of 9:09.81 while Zylah Bean placed second in a time of 10:33.07 and Dwzjhane Smith came third in a time of 11:32.12. 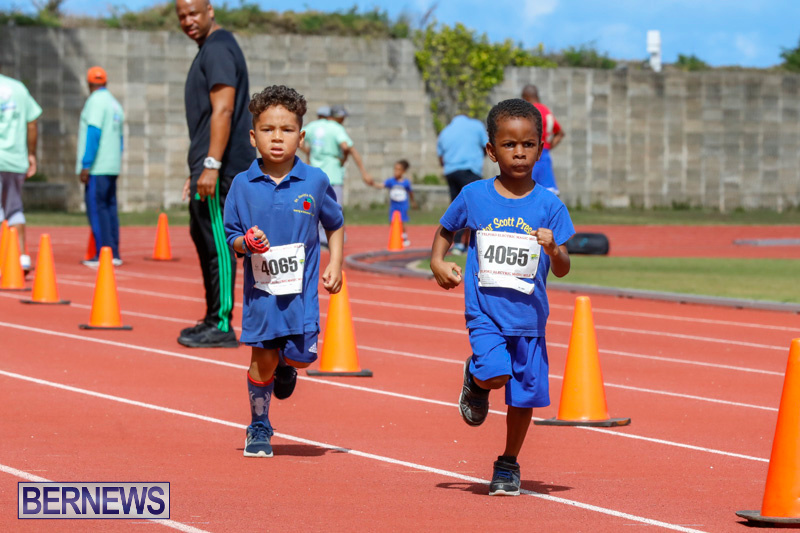 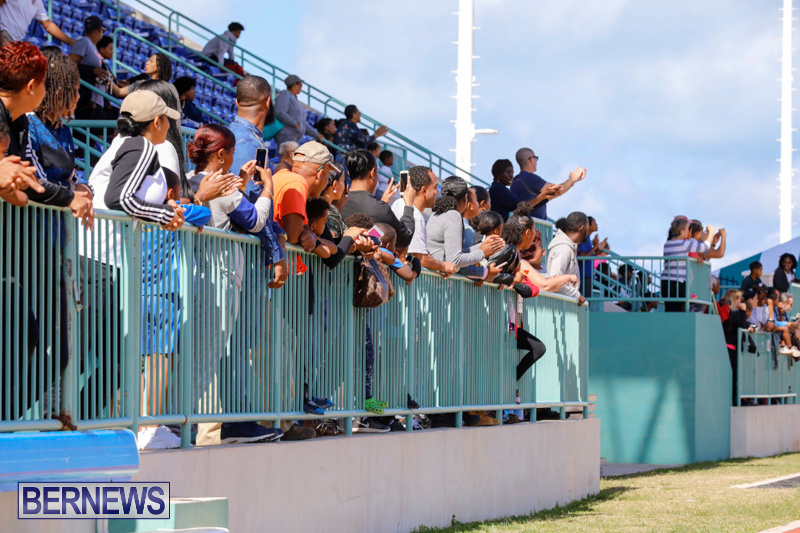 The boys race saw Tajai Goater place first with a time of 8:25.07 while Simeon Hayward came second with a time of 8:27.64 and Jayson Simons placed third in a time of 8:29.16. 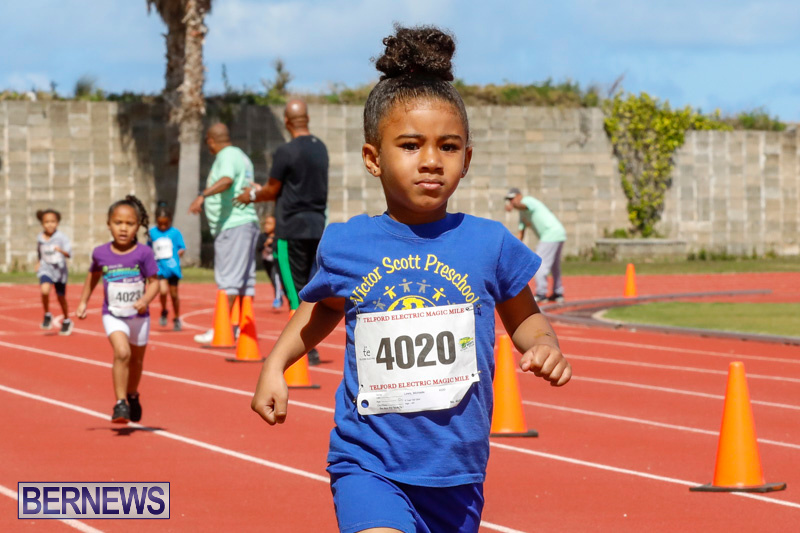 Complete results for all of today’s events follows below.